I finally had the chance to complete this post, which was in the making for quite some time. 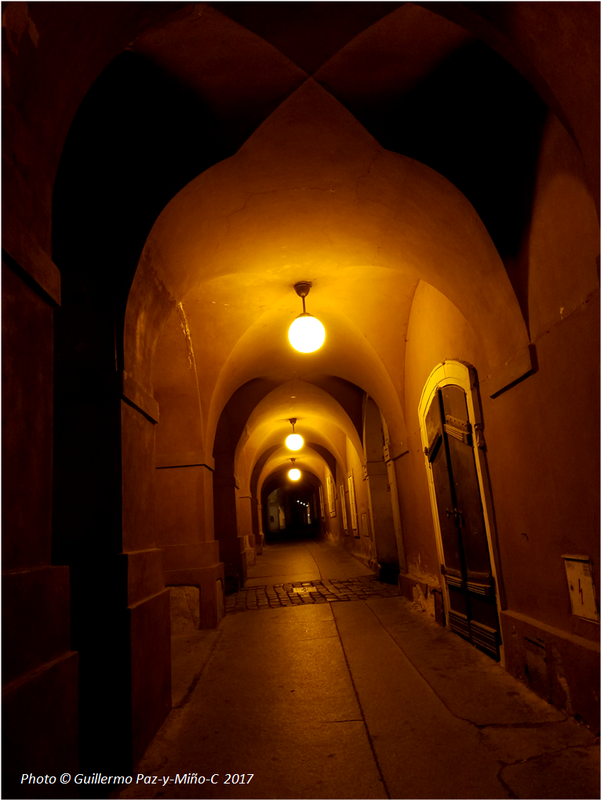 Preparing 100 images, as included below, can take many hours and much energy. 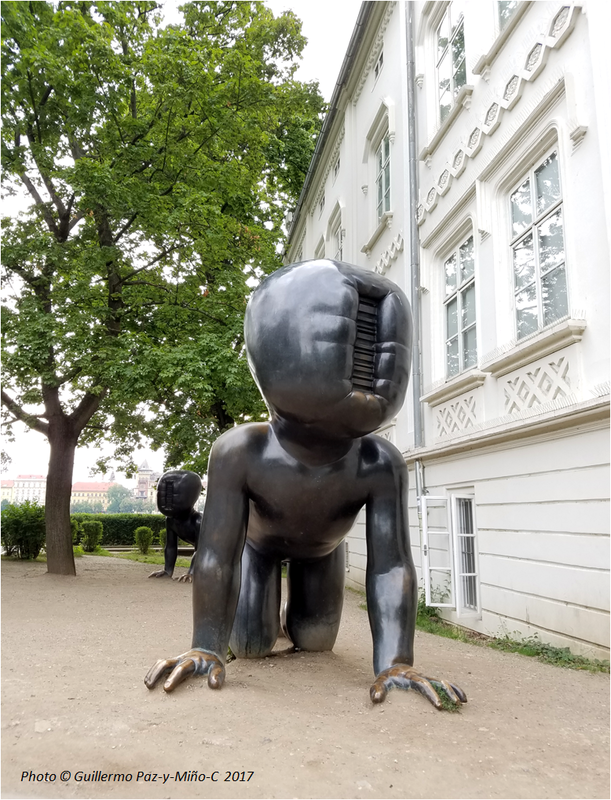 I thank the friends and followers of EvoLiteracy for being patient and for continuing visiting the site and sharing its educational contents. 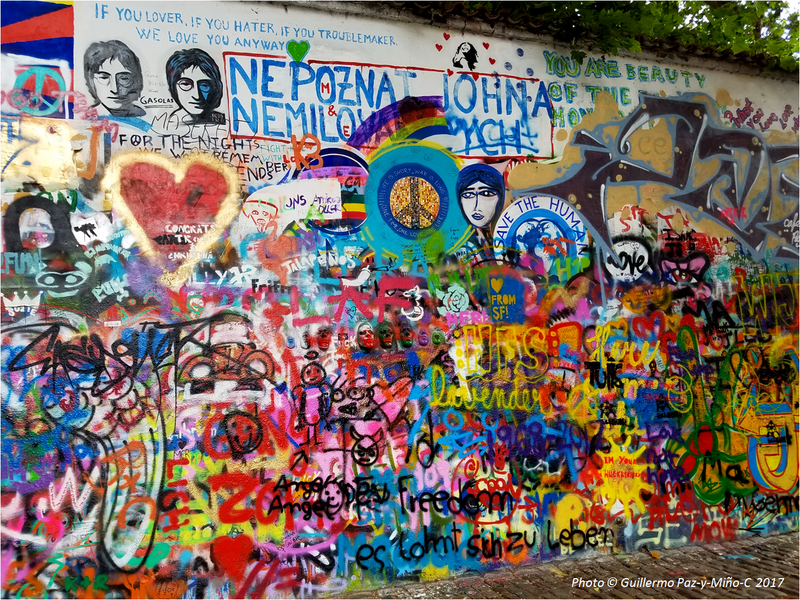 On average, people from about 50 countries visit this portal, thousands a year. 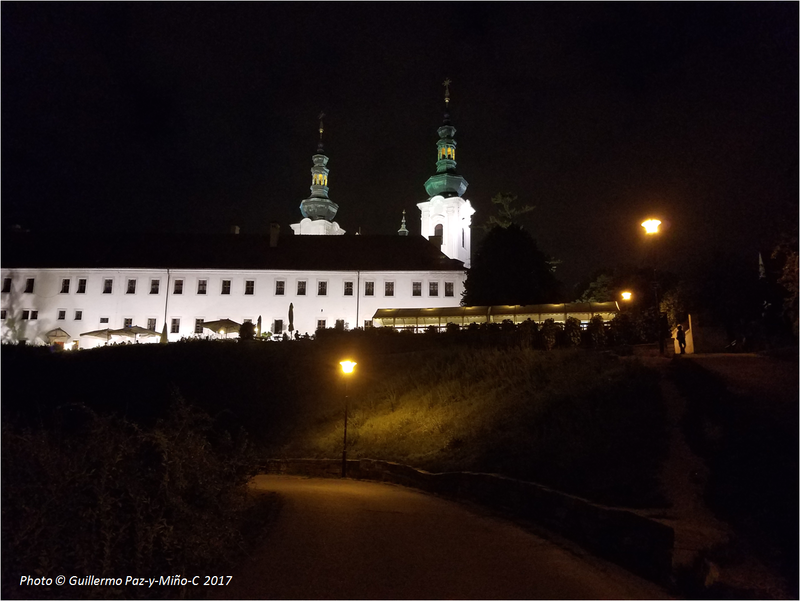 I was in Prague and Kutná Hora during the end of July and beginning of August, 2017. 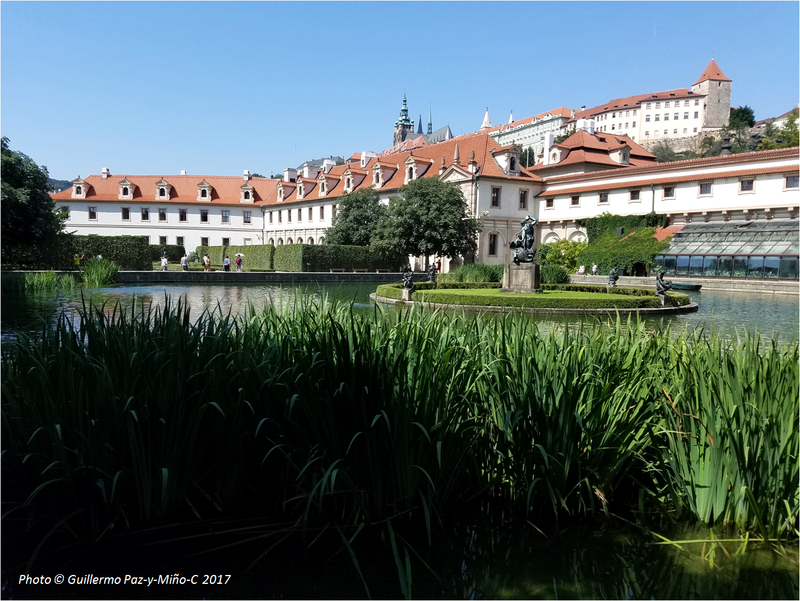 Part of the time was dedicated to attend the ISOP meeting (Prague), or the International Society of Protistologists annual gathering. 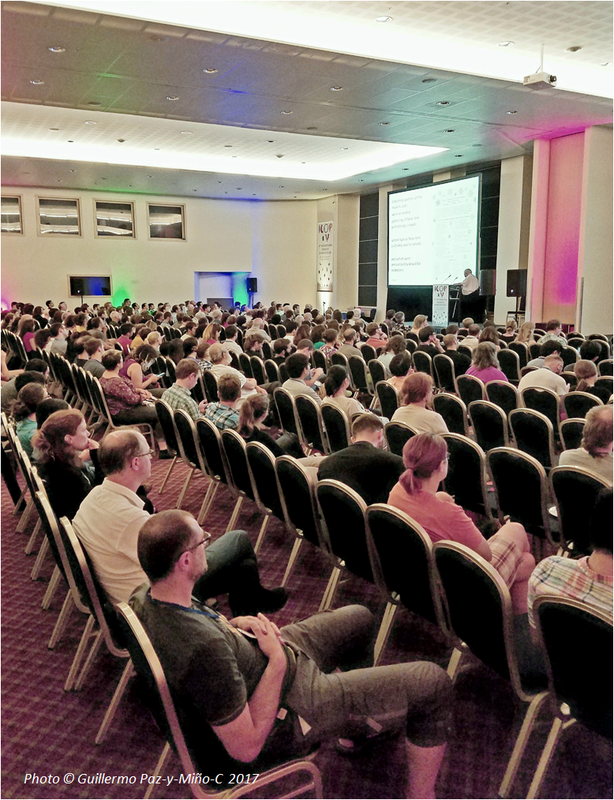 A conference for specialized biologists and other scientists interested in the lives and histories of microscopic organisms that happen to be unicellular, but that, unlike bacteria like E. coli (a mandatory companion in the human gut), these microbes have a nucleus (= eukaryotes; eu = true; karyon = nucleus, in reality it means nut). Unicellular eukaryotes are also called “protists” (a generic, all-inclusive term). I have written about them in the past, and readers can find that material here. 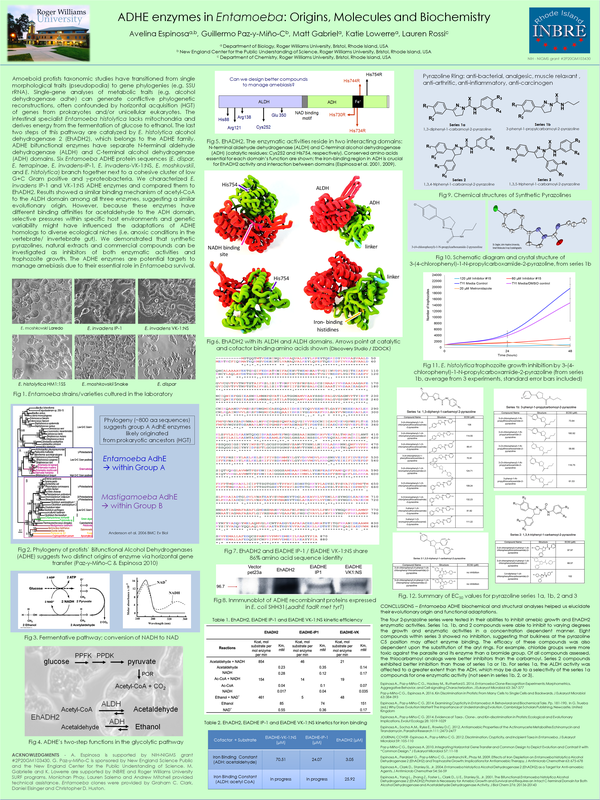 Above: this is the second time we do a poster presentation for an international meeting. 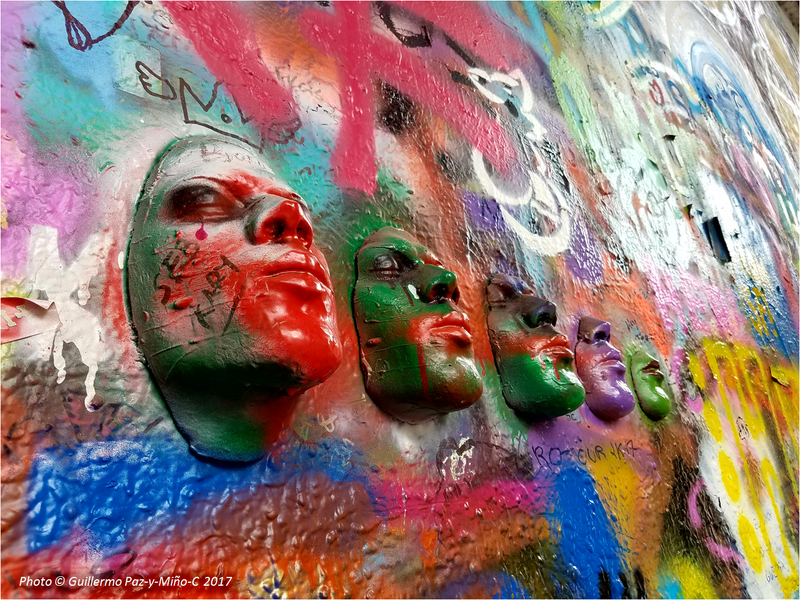 As students, we used to do it in the past (click on image to enlarge, full + resolution). 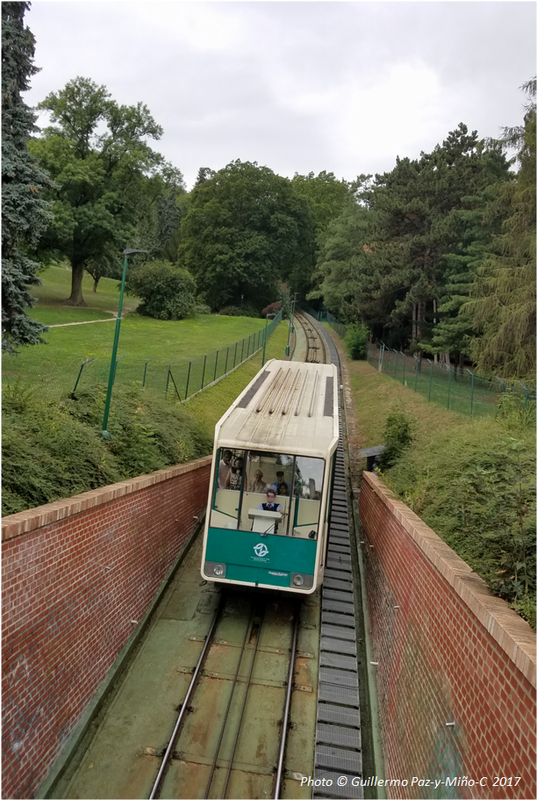 Above: What is this? A tossing MICROPHONE. Very clever. 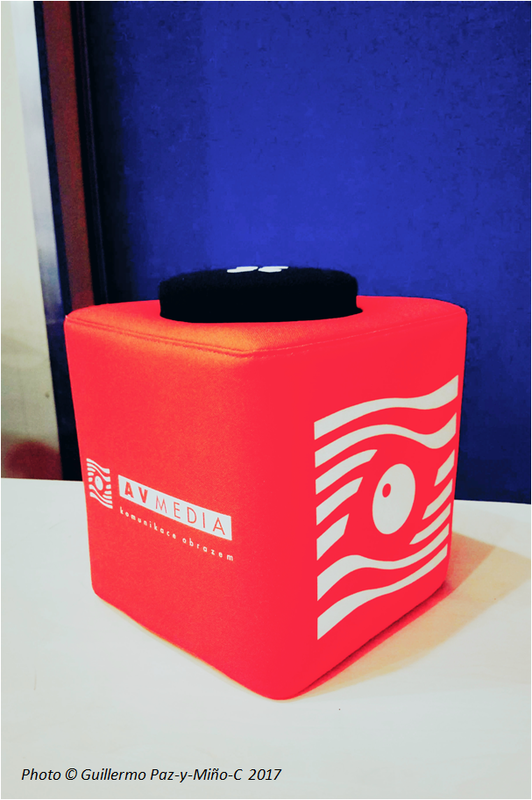 A 15-cm soft (spongy) cube equipped with a microphone inside. It can be tossed to the audience and expedite the Q&A. I think it does encourage people to participate and ask questions just for the fun of tossing and receiving the cube. The electronics are programmed to shutdown the noise while the cube is bouncing, but the microphone activates itself once stabilized at no-rough motion. 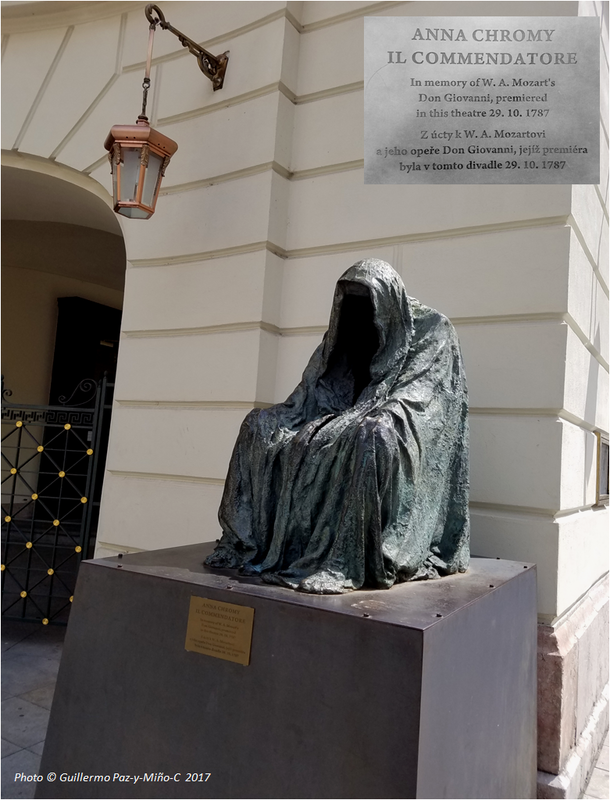 Above: remarks by Miklós Müller during the presentation of the Hutner Award (given yearly to a researcher in protistology), always relevant and a good perspective. 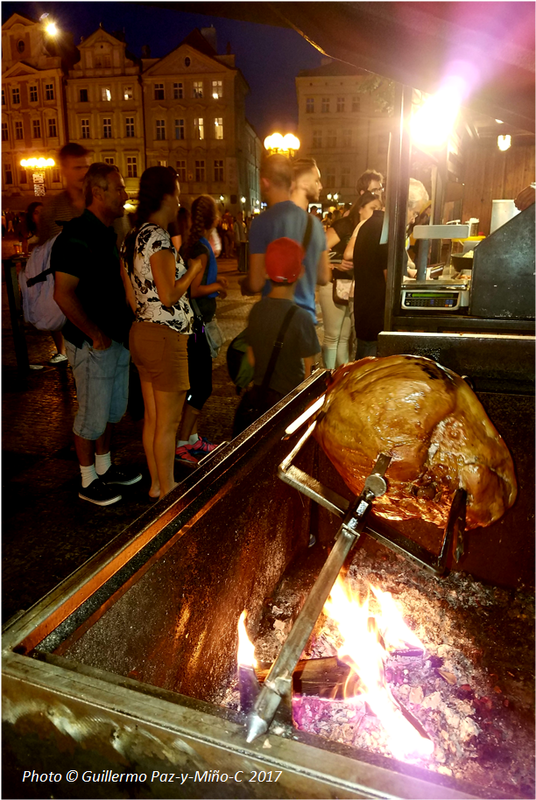 Above: Acceptance of evolution in Eastern Europe. 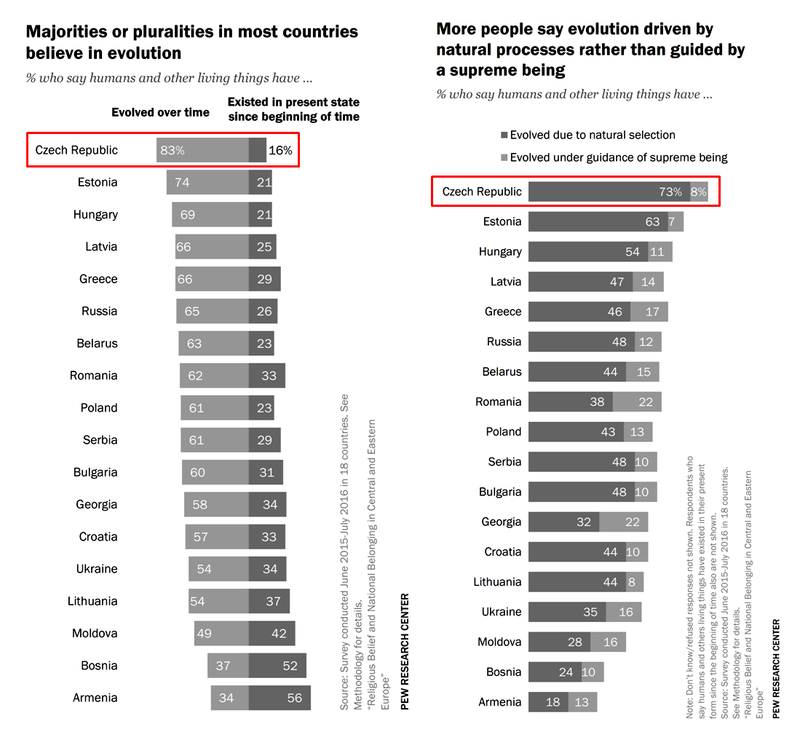 Note how the Czech Republic leads in public acceptance of evolution: 83% think that humans and other living things have evolved over time (left). And 73% think that humans and other living things have evolved due to natural selection. 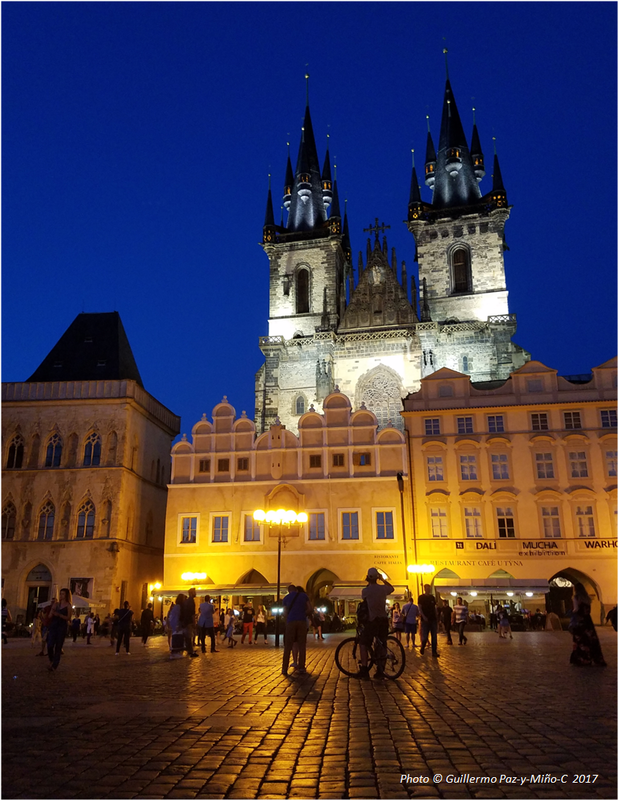 Above: 72% of Czechs consider themselves unaffiliated in terms of religious identity. Above: Atheists, agnostics and nones in Central and Eastern Europe (left). 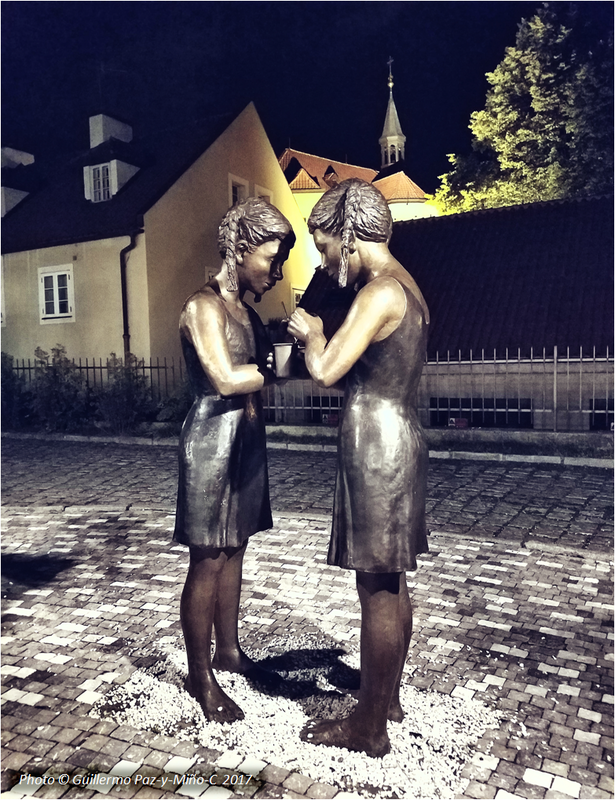 Gender difference in believing in God in Central and Eastern Europe (right). 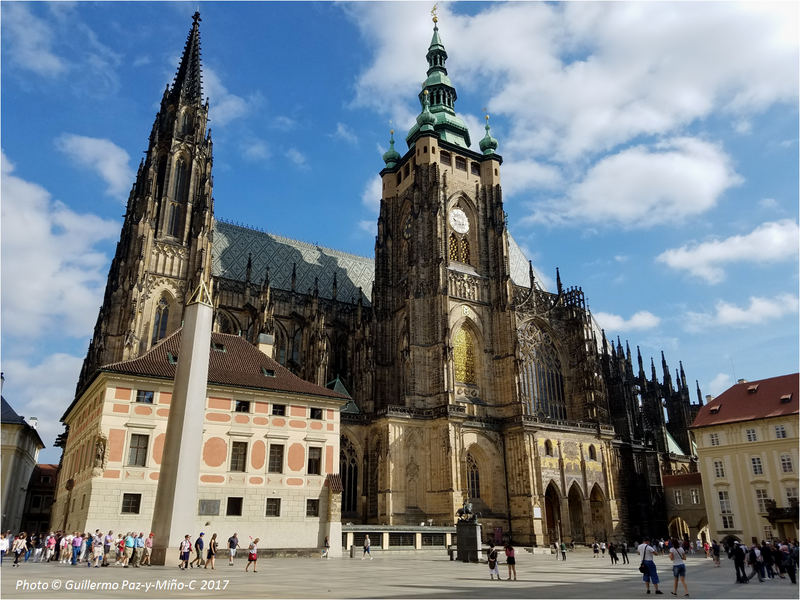 The Czechs lead in terms of atheists (25%) and nothing in particular (46%) in contrast to other Central and Eastern Europe countries. More women (36%) than men (22%) say they believe in God. 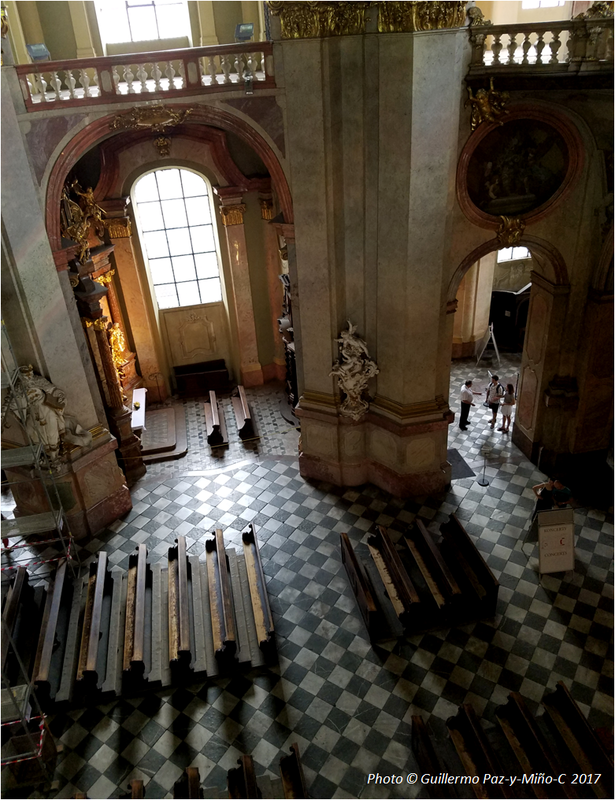 Above: 75% of Czechs favor the separation of church and state (2nd in Central and Eastern Europe, left). And 87% think that it is not necessary to believe in God to be moral and have good values (right). 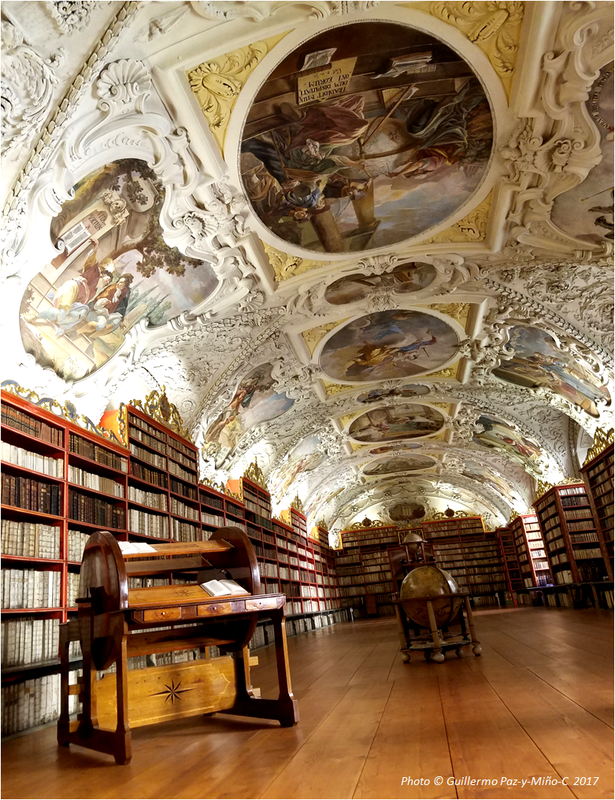 Above: the spectacular Theology Hall at the Strahov Monastery Library. 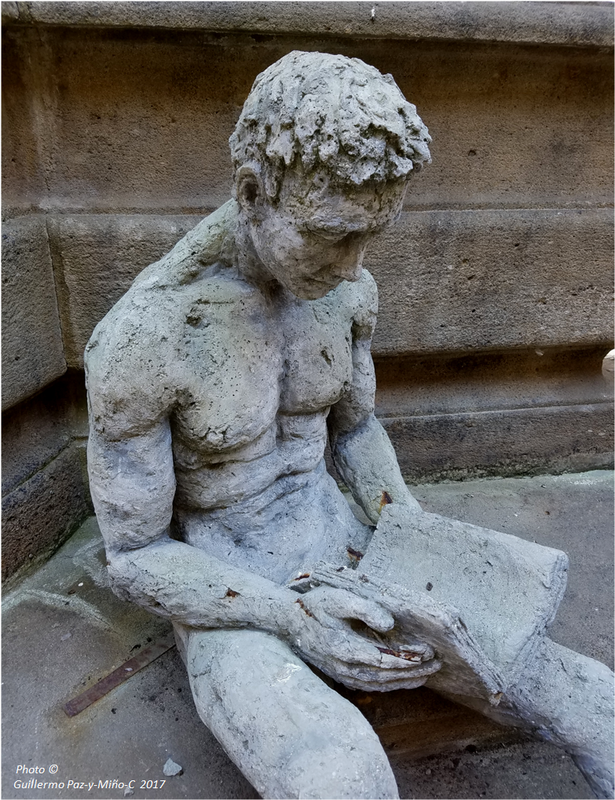 Above: Reader, at the National Library. 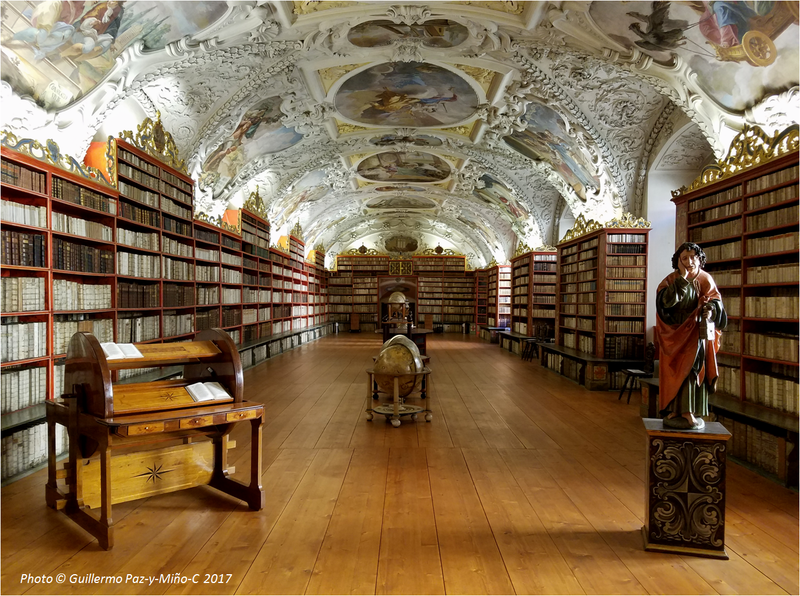 Above: the Philosophical Hall at the Strahov Monastery Library. 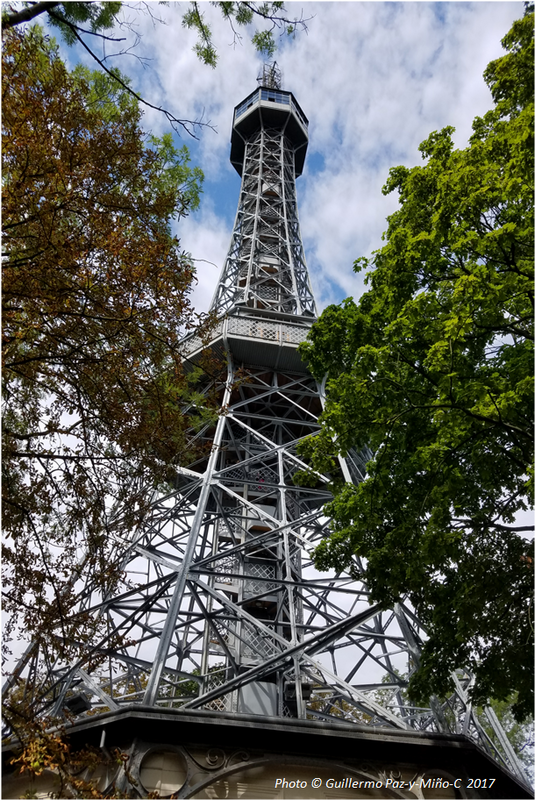 Above: Prague as seen from its “TV Tower” (93 meters above ground). 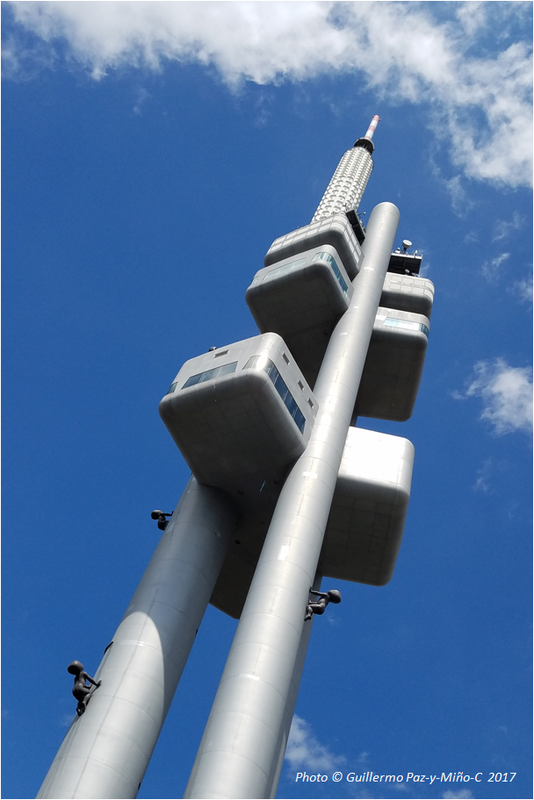 Above: Prague’s famous (or infamous) TV Tower, the babies climbing up are plastic replicas of the bronze “Babies” by David Černý. 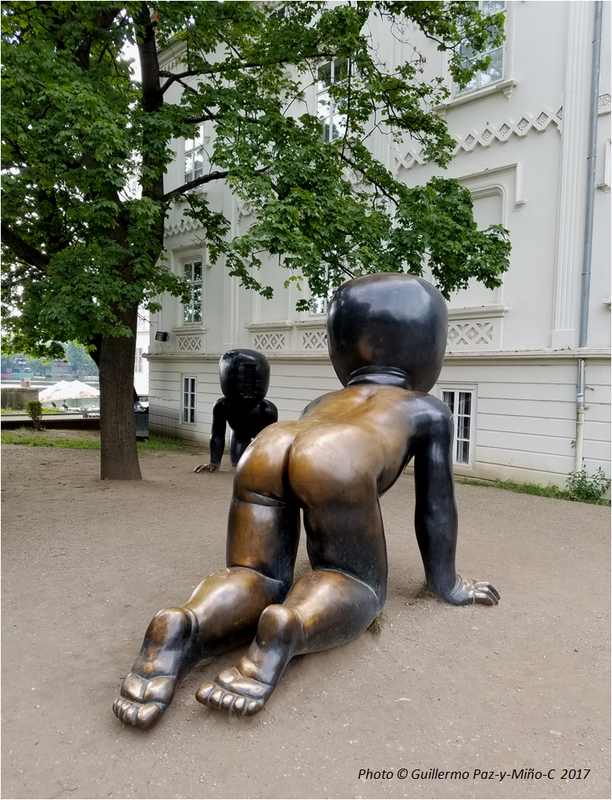 Above: Bronze “Babies” by David Černý. 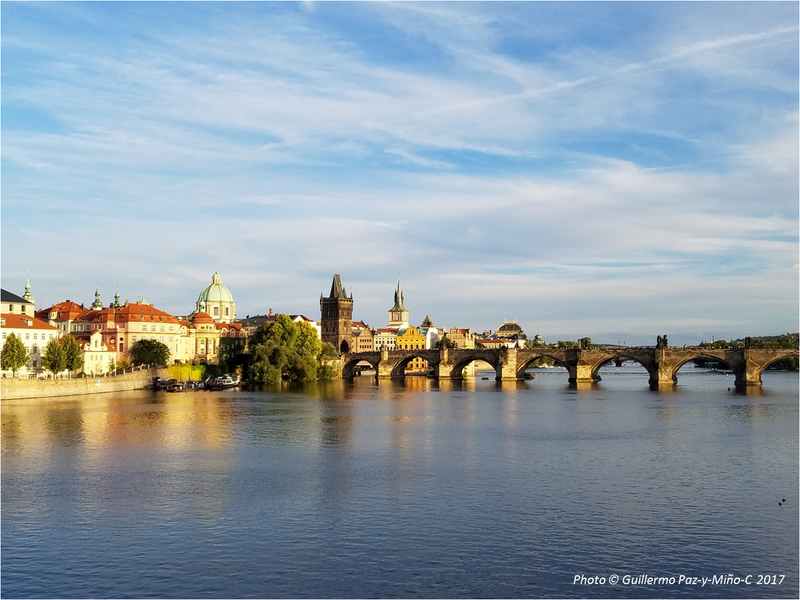 Above: the iconic Charles’ Bridge. 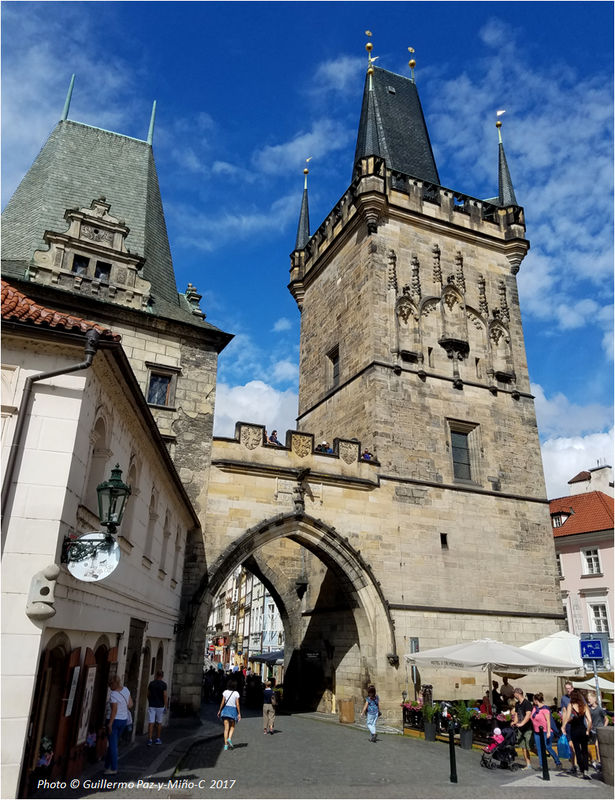 Above: one of the towers guarding the Charles’ Bridge (West side). 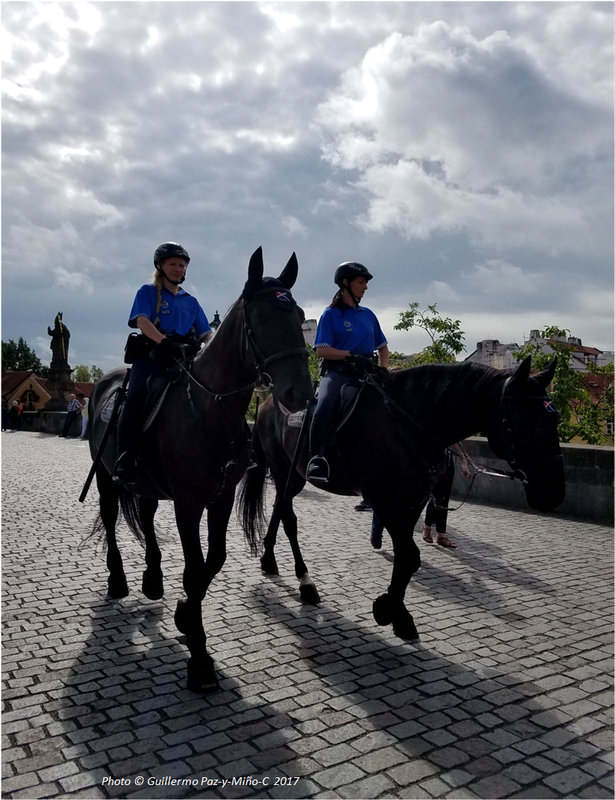 Above: officers patrolling the Charles’ Bridge. 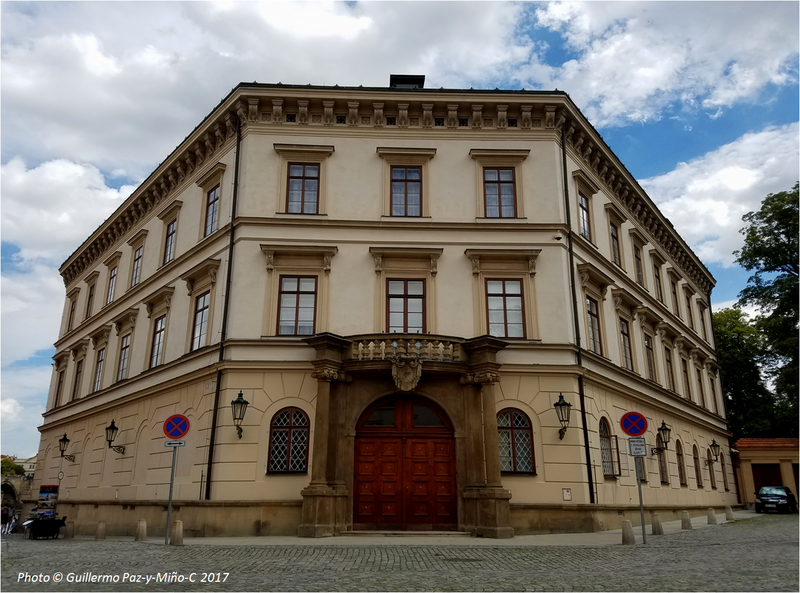 Above: the “American Embassy” in Prague? 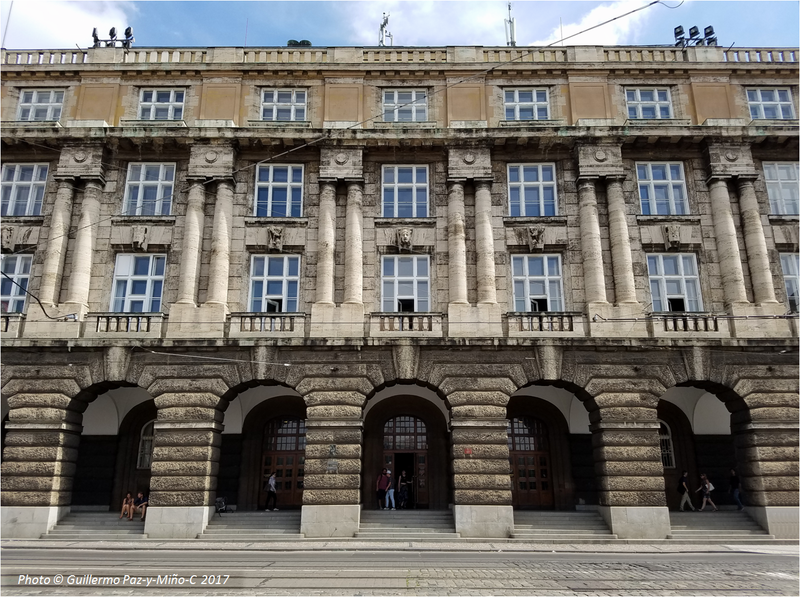 Not really, but it was in the movie Mission Impossible – The Lichtenstejnsky Palace. 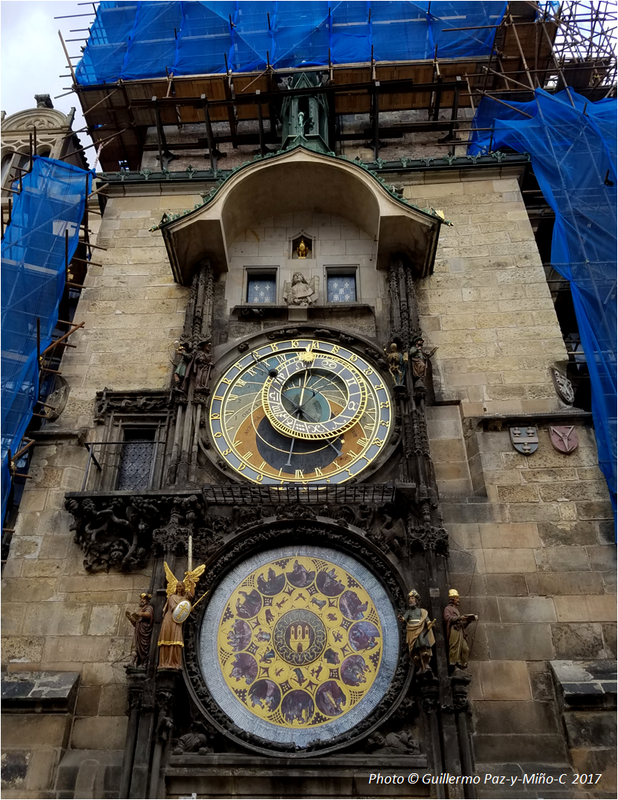 Above: Prague’s Astronomical Clock (under renovation). 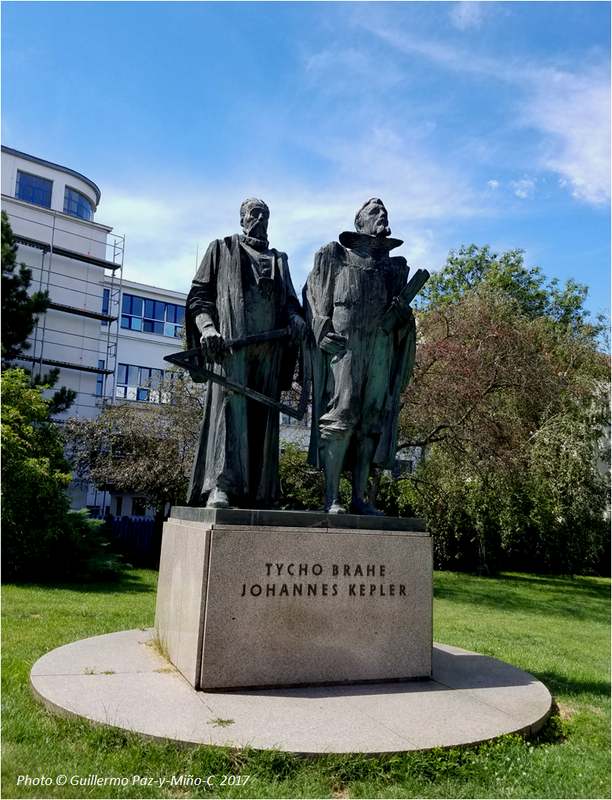 Above: astronomers Tycho Brahe (Danish) and Johannes Kepler (German). 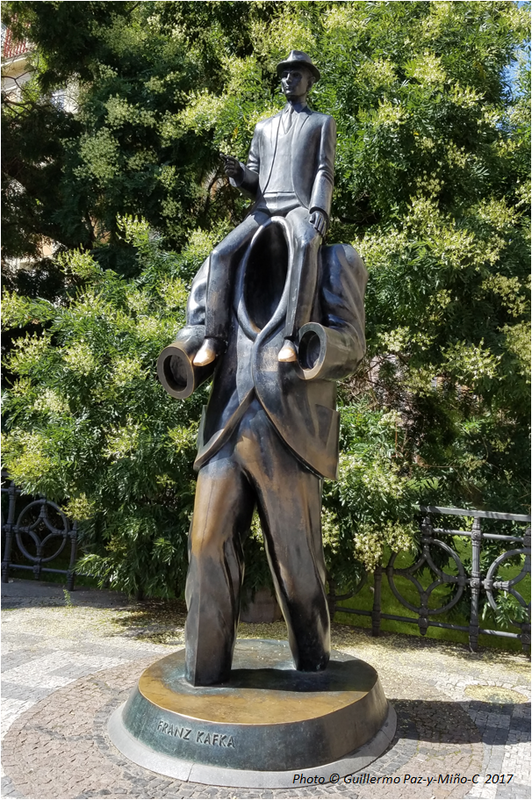 Their destinies merged in Prague. 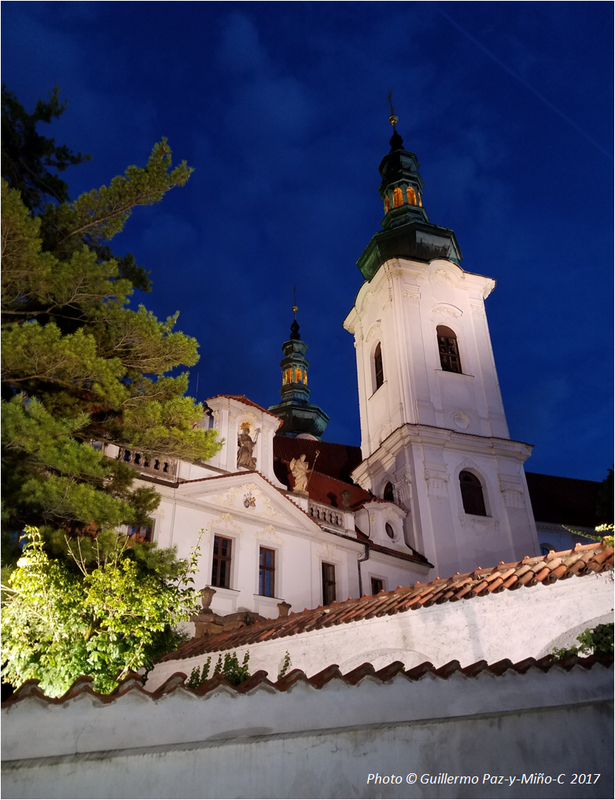 Above: Church of Our Lady and the Old Town Square. 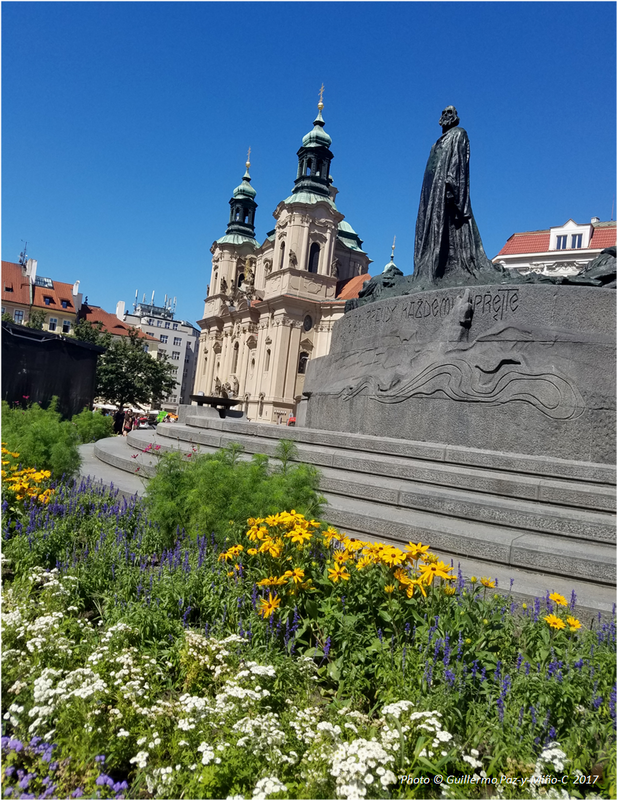 Above: Jan Hus Memorial, Old Town Square. 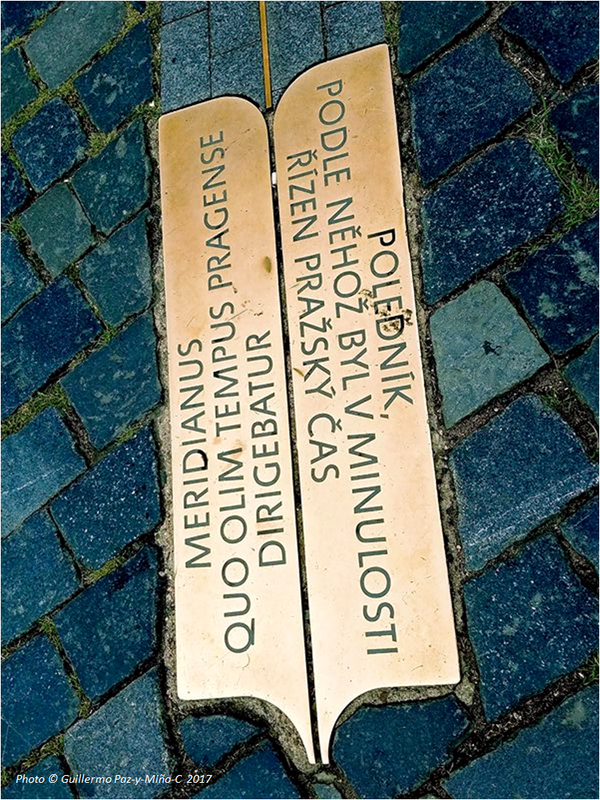 Above: Prague’s meridian, Old Town Square. 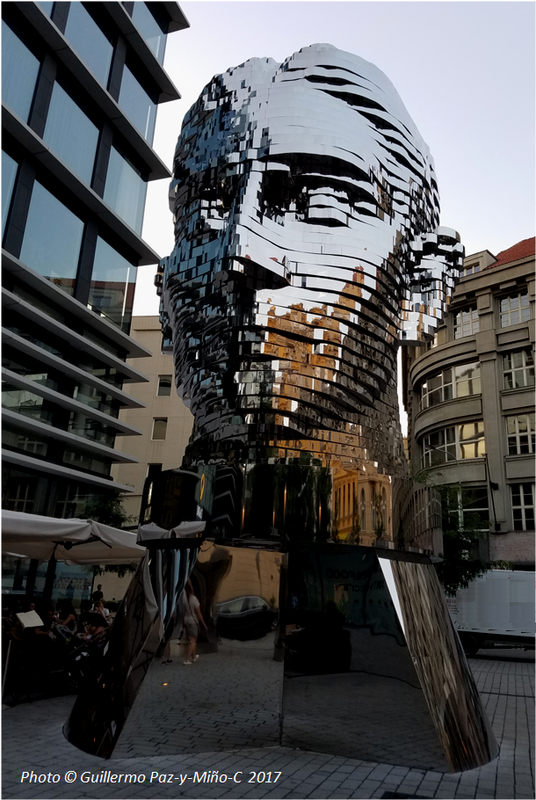 Above: Franz Kafka by David Černý. 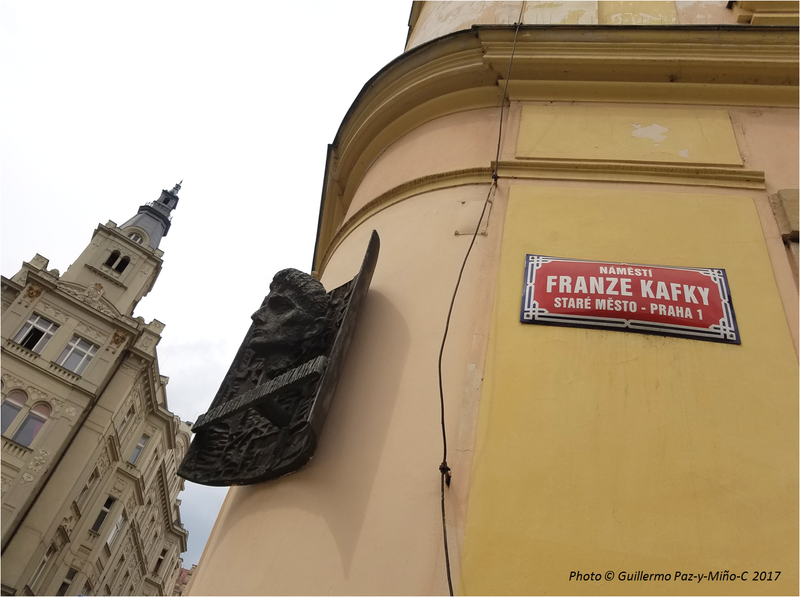 Above: honoring Franz Kafka by Jaroslav Róna. 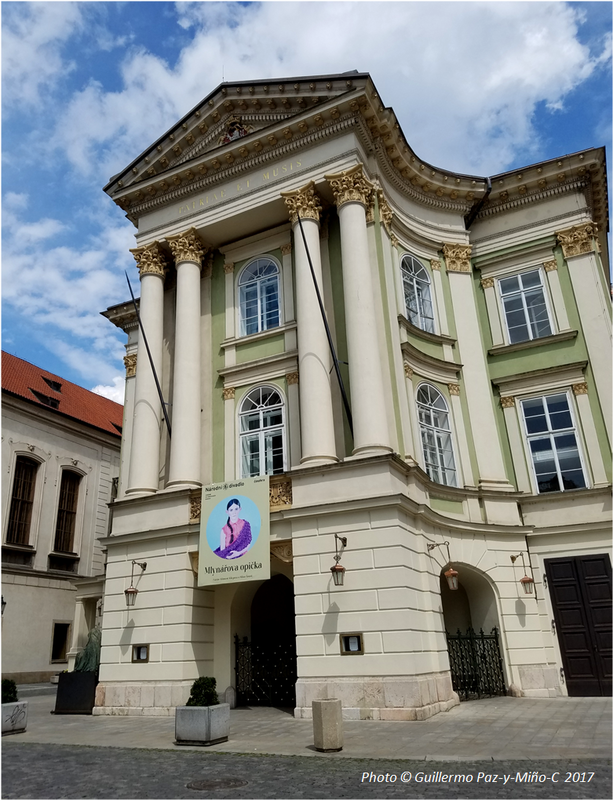 Above: the Faculty of Philosophy building in downtown Prague. 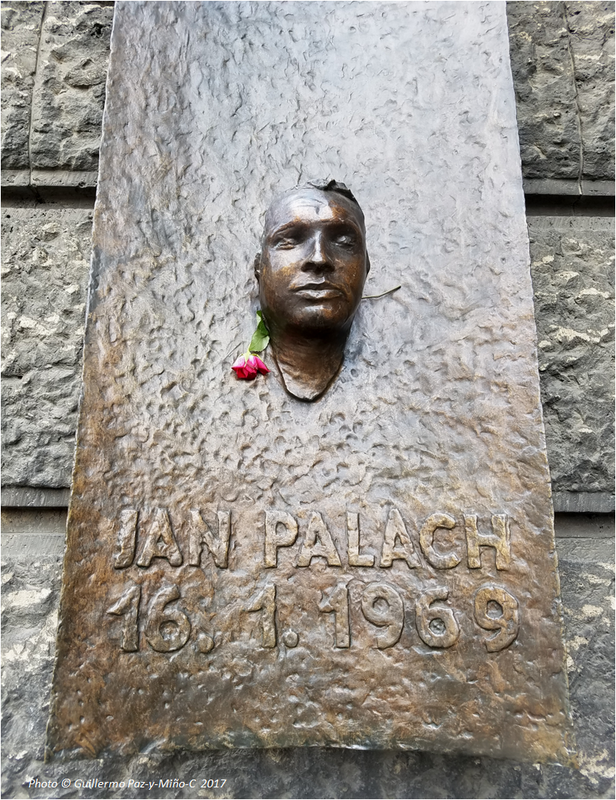 Above: honoring Jan Palach, outside of the Faculty of Philosophy building in downtown Prague. 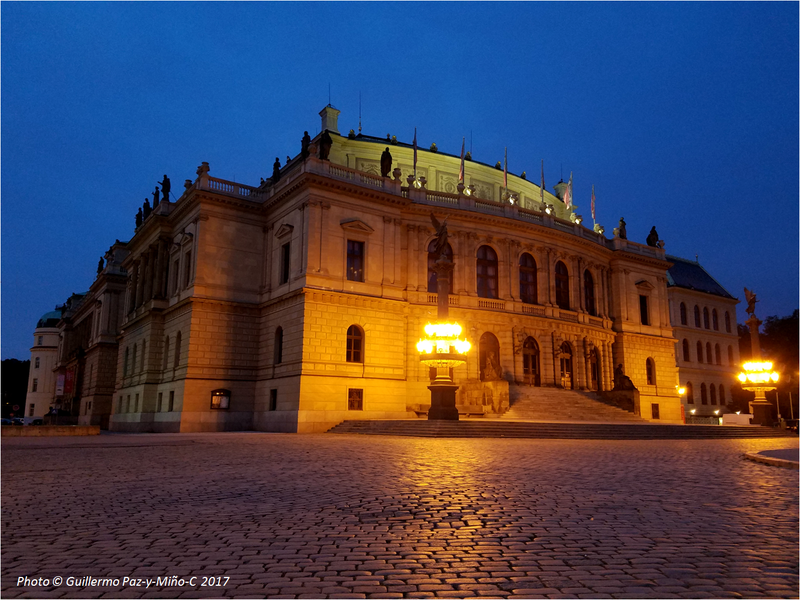 Above: the Rudolfinum (we went to its “ongoing Vivaldi’s Four Seasons,” excellent). 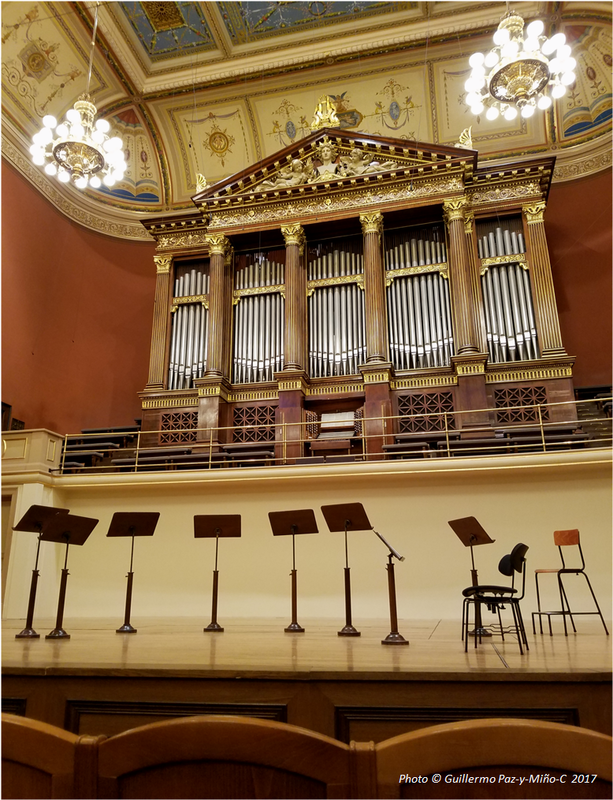 Above: the majestic stage at the Rudolfinum, just before the recital began (we got third-row-center tickets). 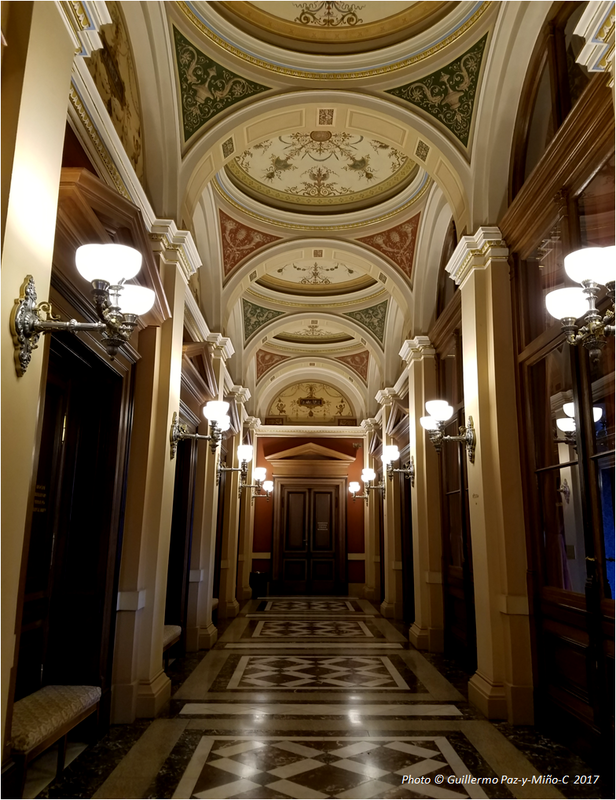 Above: the decorated corridors at the Rudolfinum. 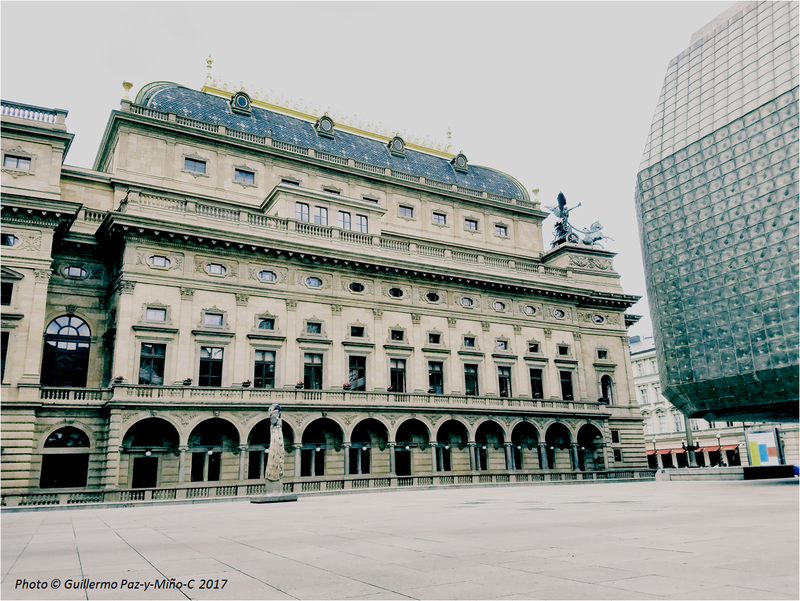 Above: the Estates Theater where Mozart’s Don Giovanni was first played. 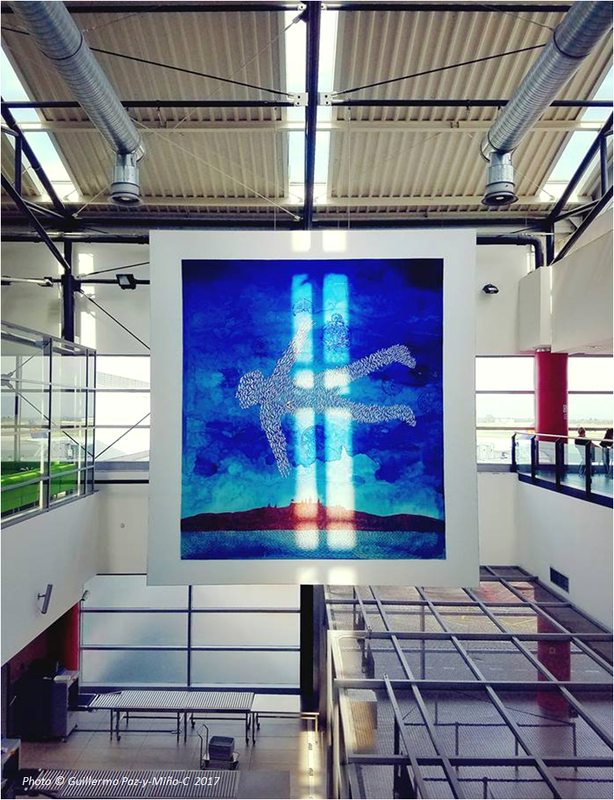 Above: Il Commendatore by Anna Chromy. 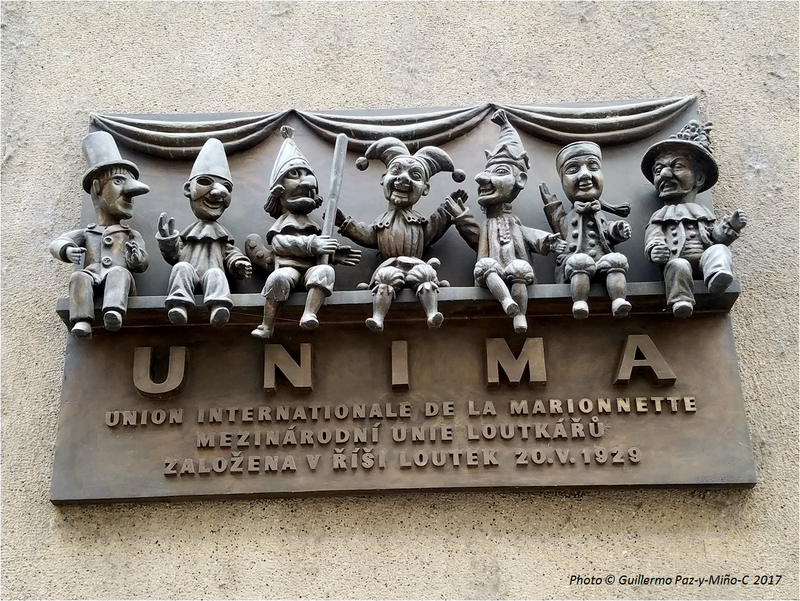 Above: marionette related (we went to see Don Giovanni at the National Marionette Theater; we gave the play three *** generous stars). 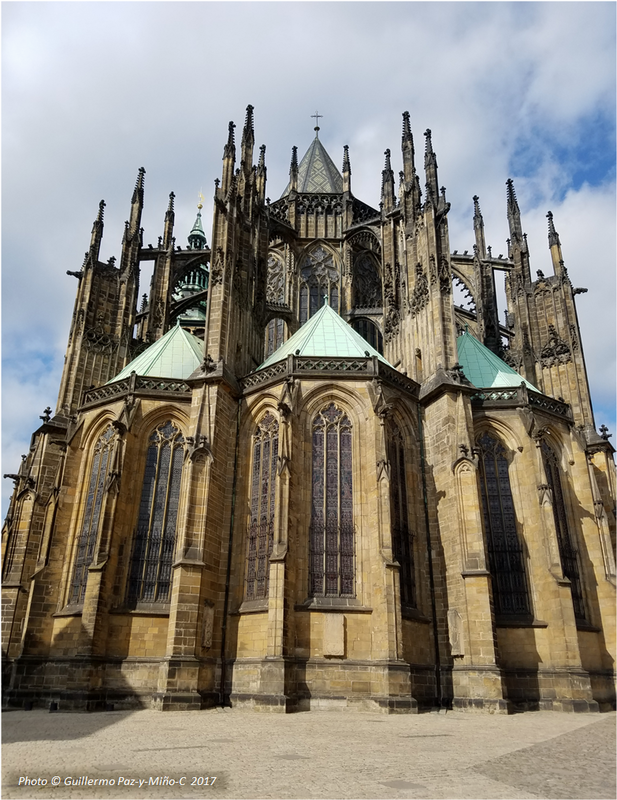 Above: the Saint Vitus Cathedral. 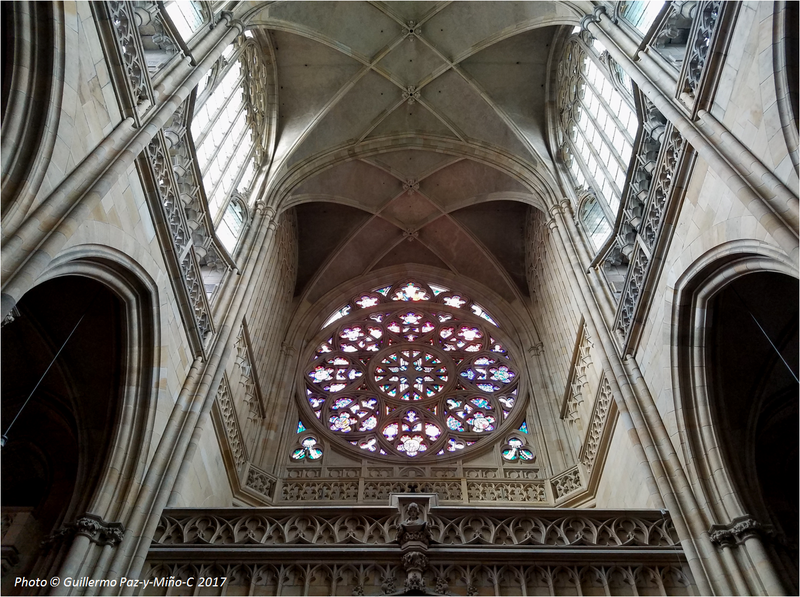 Above: inside the Saint Vitus Cathedral. 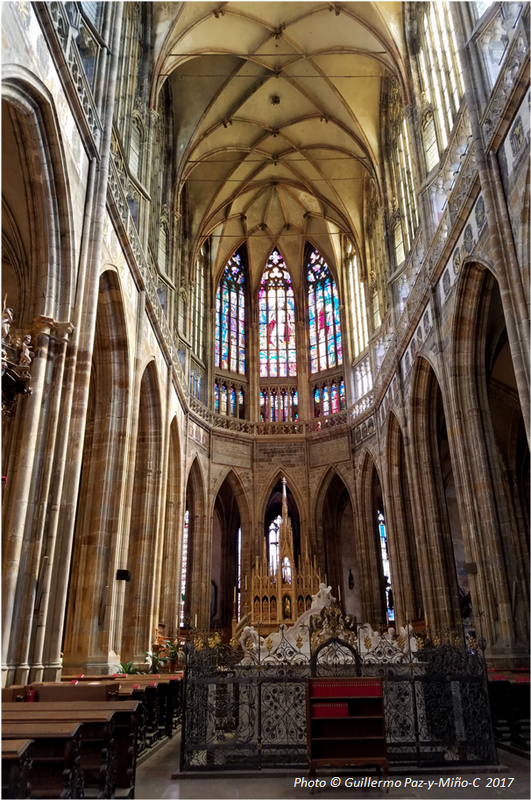 Above: back interior of the Saint Vitus Cathedral. 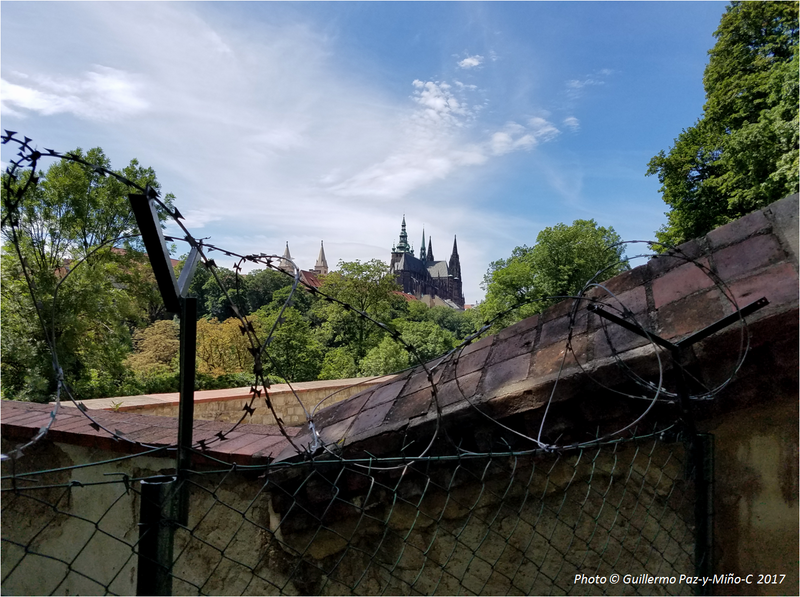 Above: back outdoors of the Saint Vitus Cathedral. 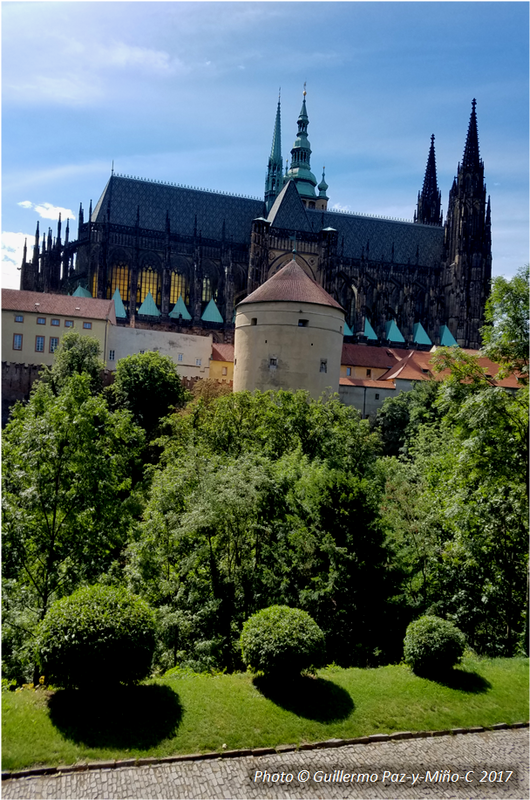 Above: the Saint Vitus Cathedral as seen from the Queen Anne’s Summer Palace. 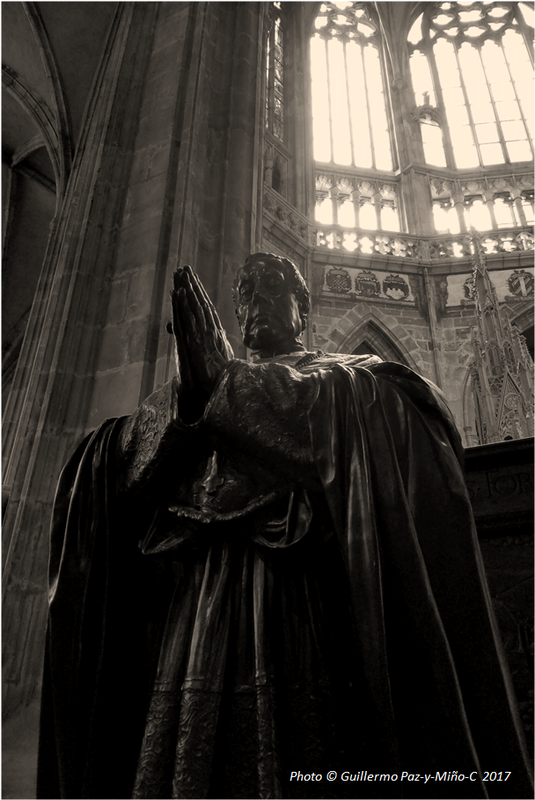 Above: Darkness in the Saint Vitus Cathedral; statue of Friedrich Johannes Jacob Celestin von Schwarzenberg. 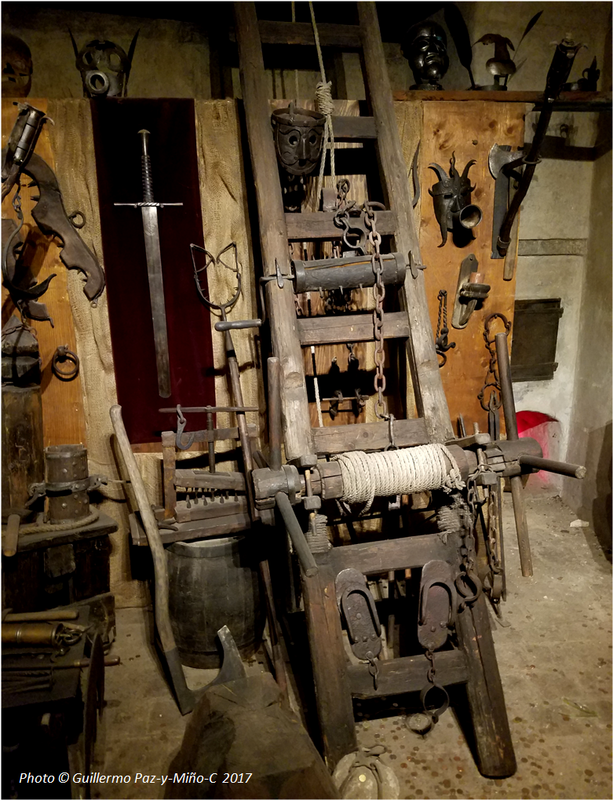 Above: torture equipment at the Guard’s Tower, Prague’s Castle. 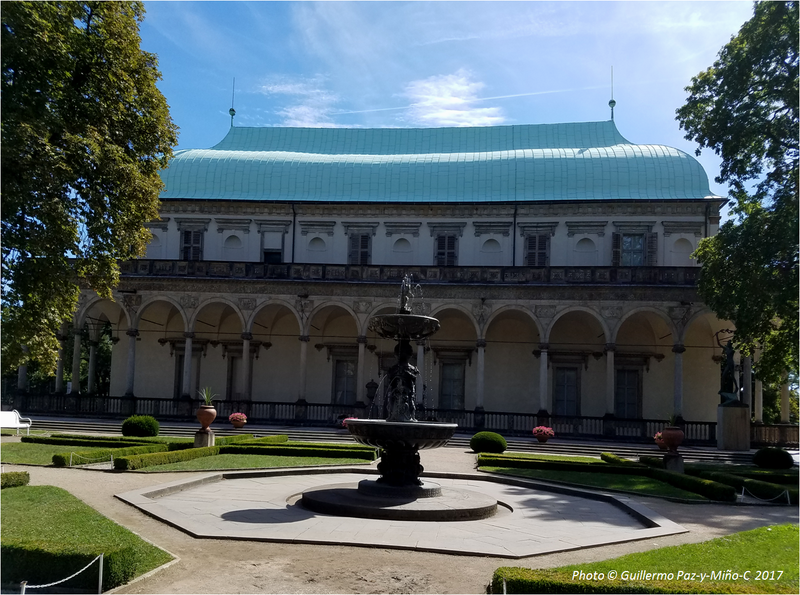 Above: the Queen Anne’s Summer Palace. 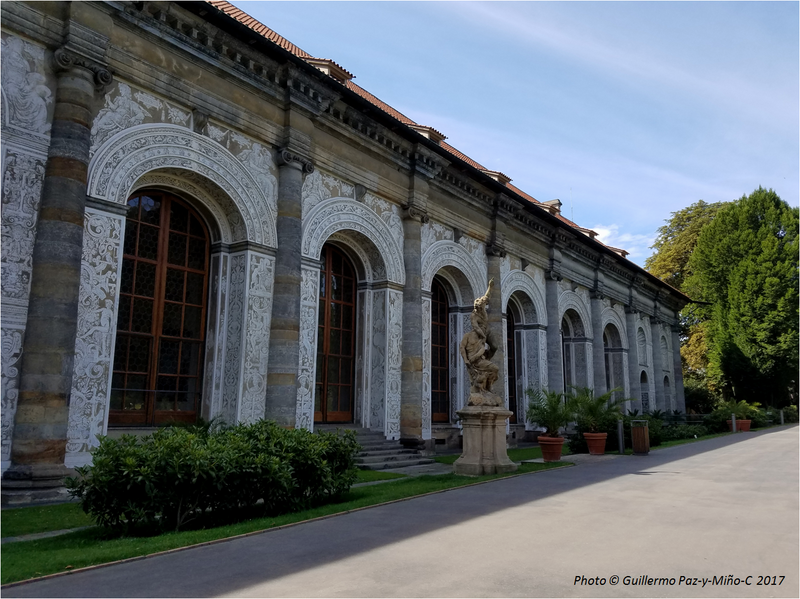 Above: museum at the Queen Anne’s Summer Palace. 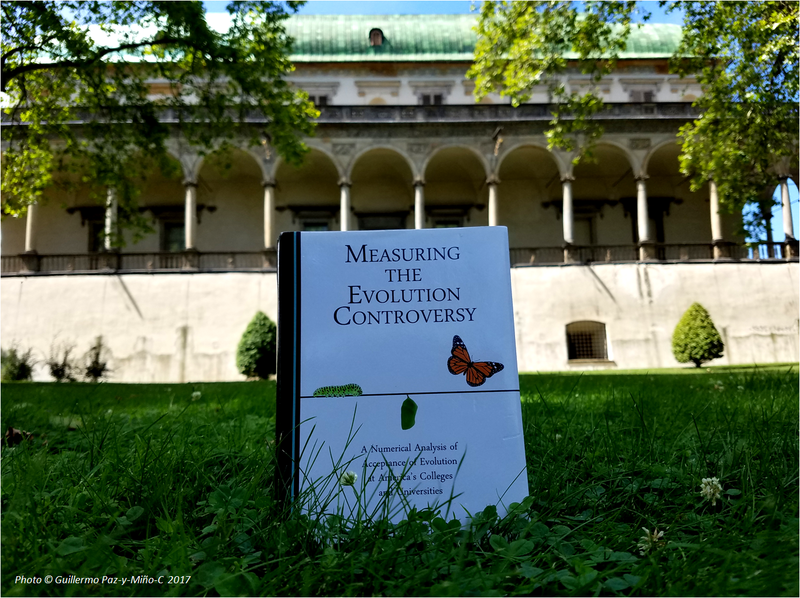 Above: Measuring the Evolution Controversy at the Queen Anne’s Summer Palace. 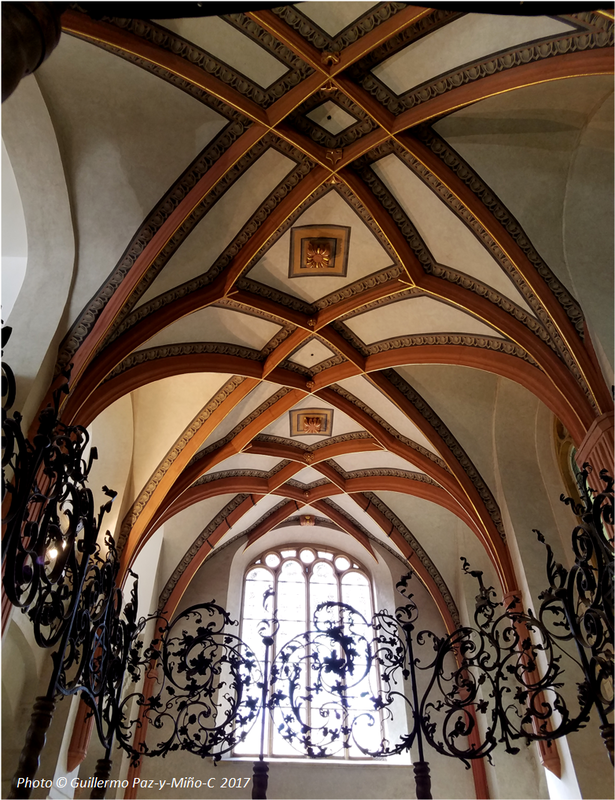 Above: decorated arches at the Queen Anne’s Summer Palace. 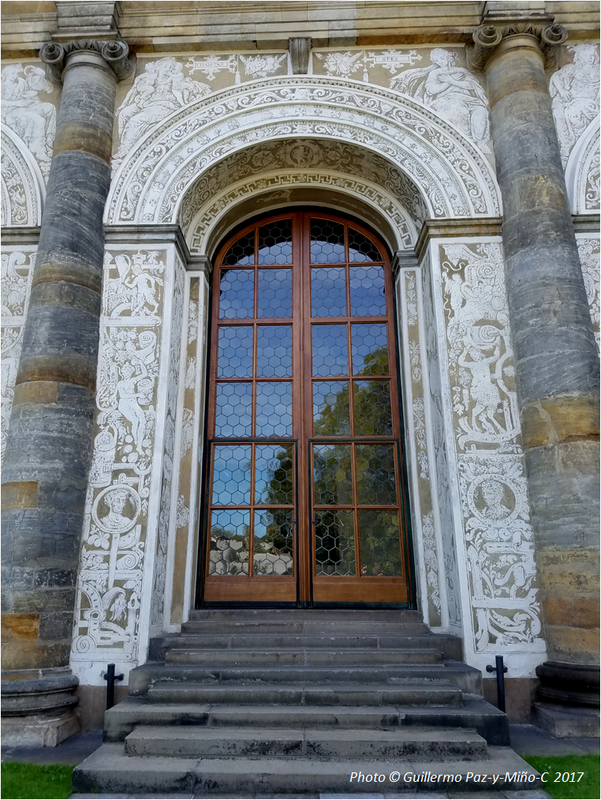 Above: details at the Queen Anne’s Summer Palace. 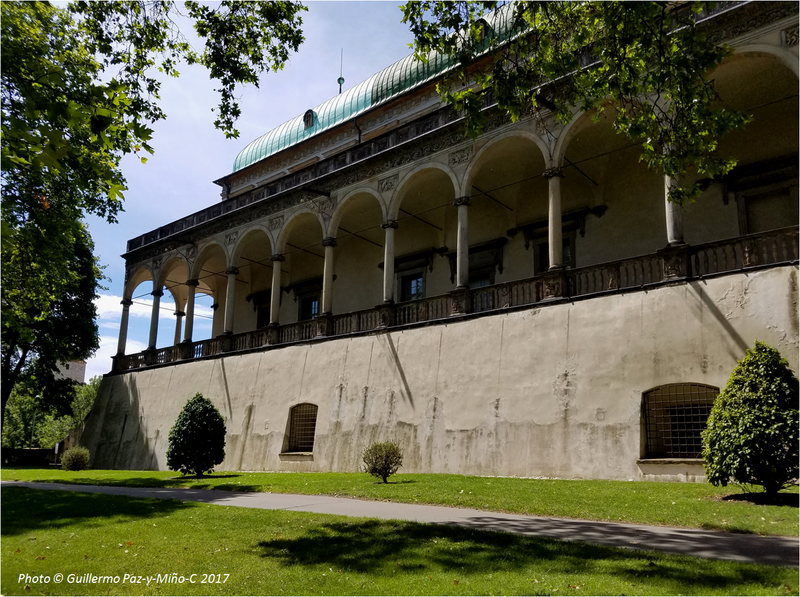 Above: more of the Queen Anne’s Summer Palace. 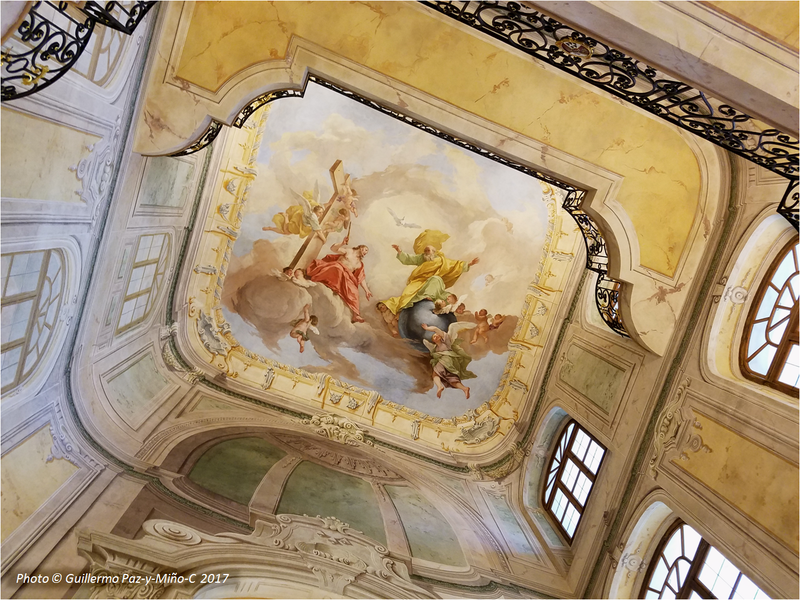 Above: God, Christ, Spirit at Rosenberg Palace. 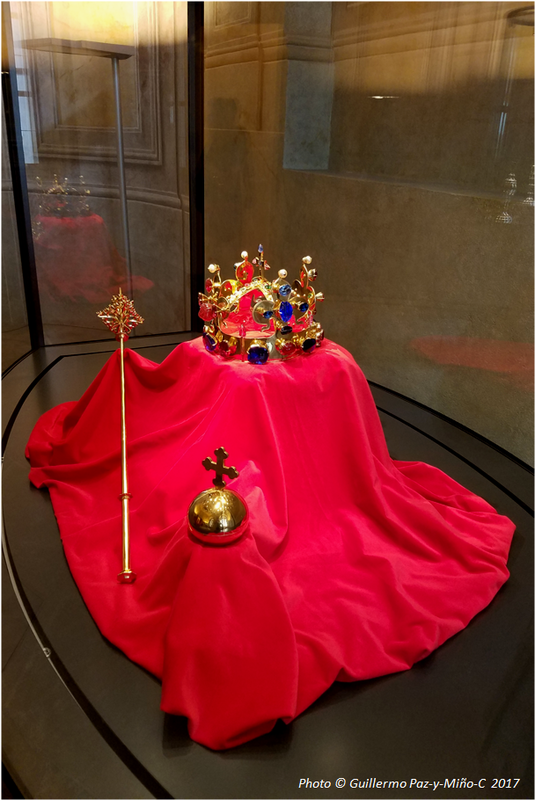 Above: at the Prague’s Castle (Rosenberg Palace), where the monarchy is history. 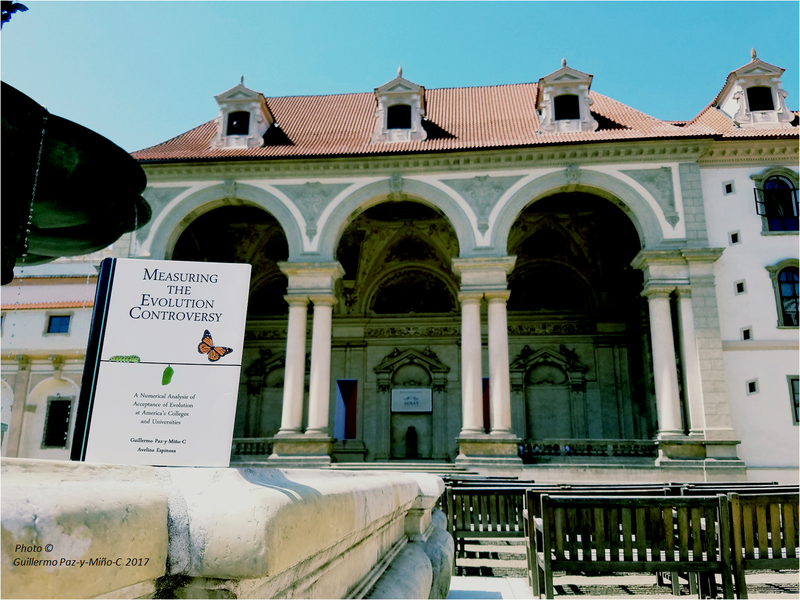 Above: Measuring the Evolution Controversy posing before the Senate building, Wallenstein Garden. 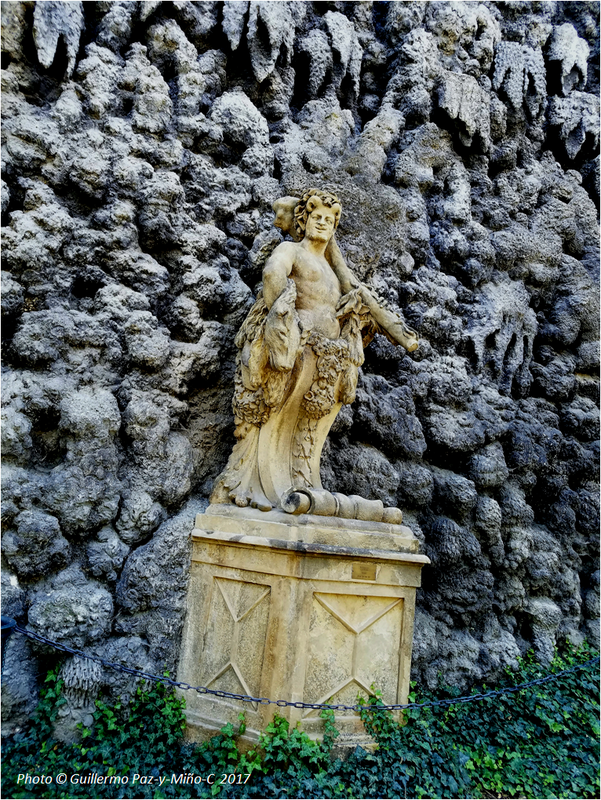 Above: the Devil at the Wallenstein Garden. Above: don’t know these people, but they are up to something important. 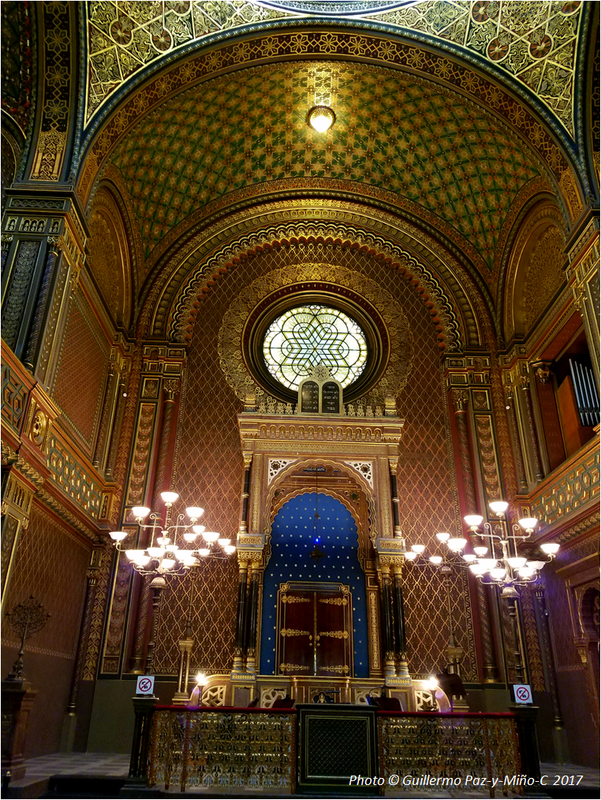 Above: the spectacular Spanish Synagogue (my personal favorite, world quality). 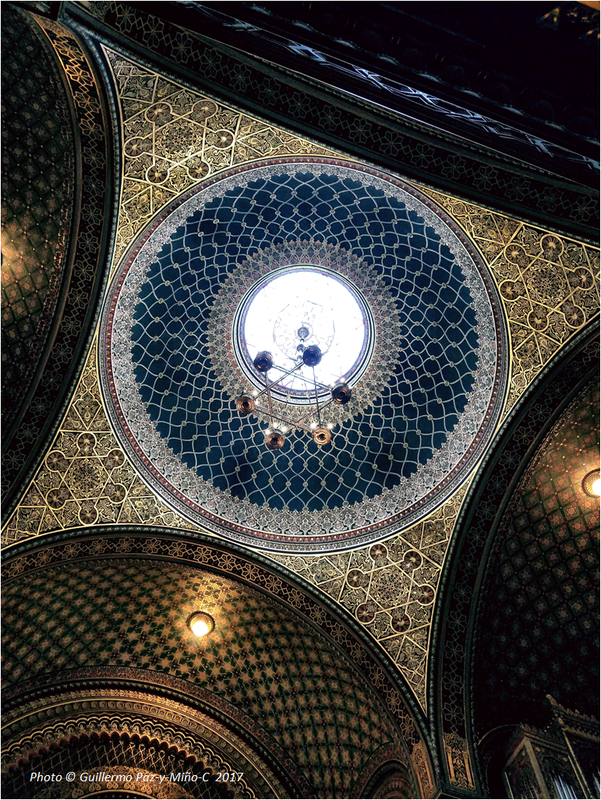 Above: the main dome at the Spanish Synagogue. 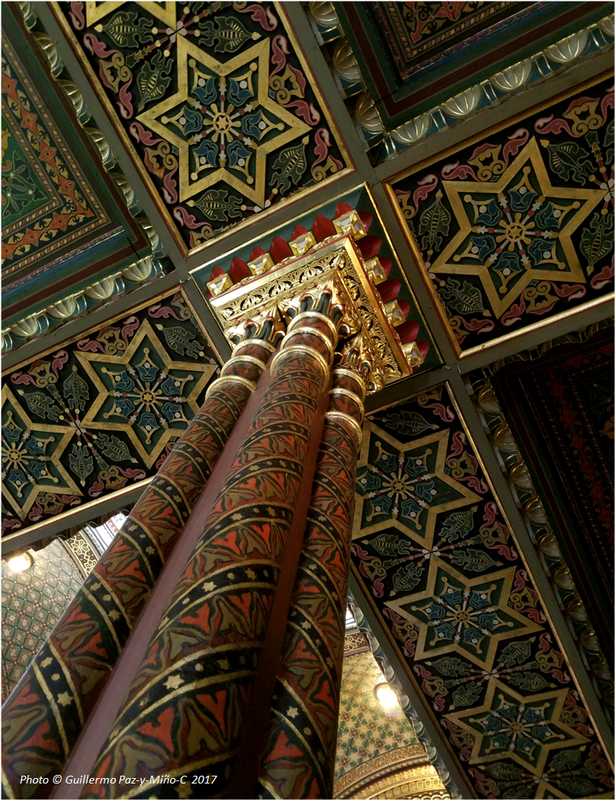 Above: more beauty at the Spanish Synagogue. 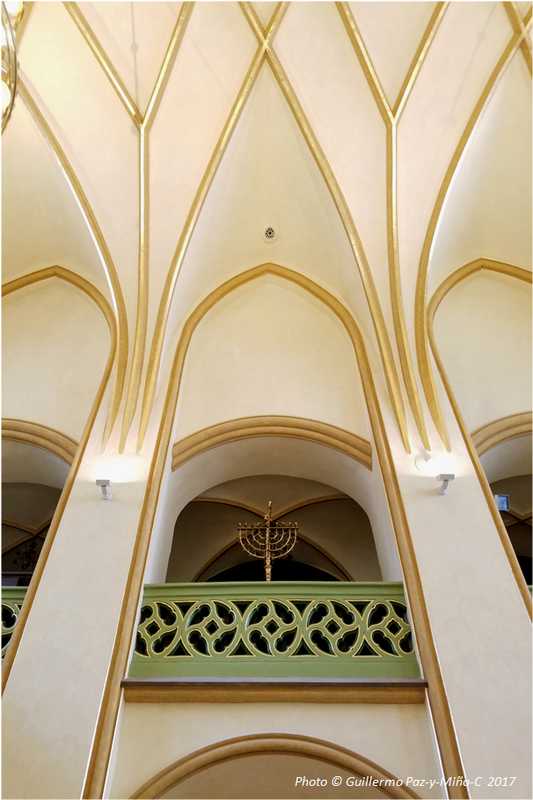 Above: one of the pillars at the Spanish Synagogue. 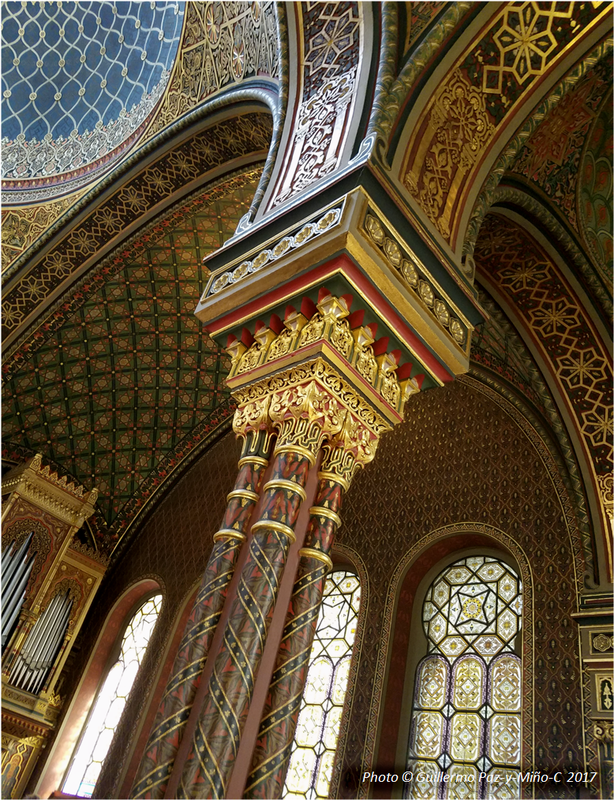 Above: and another pillar at the Spanish Synagogue. 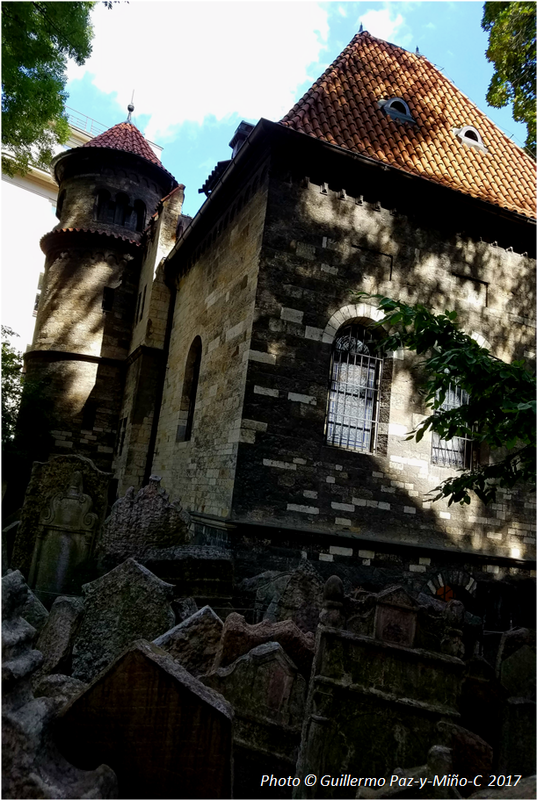 Above: at the Jewish Cemetery. 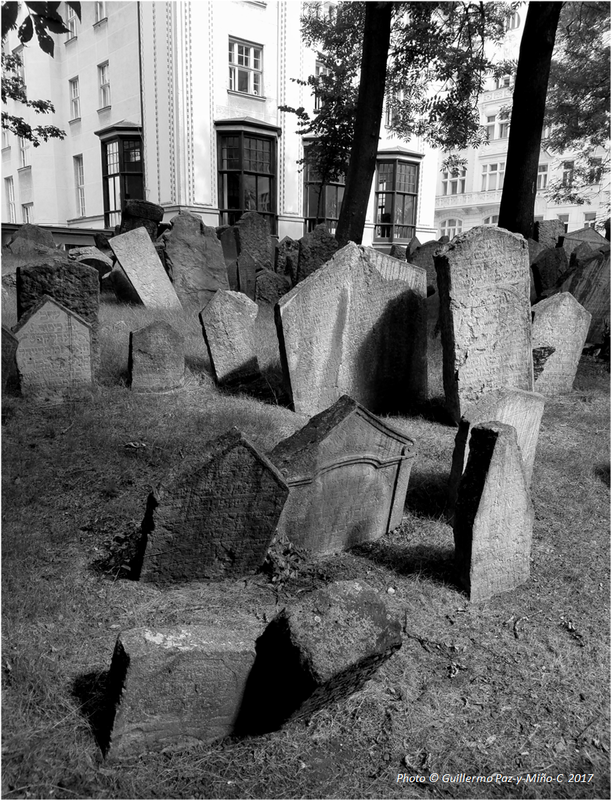 Above: more of the Jewish Cemetery. 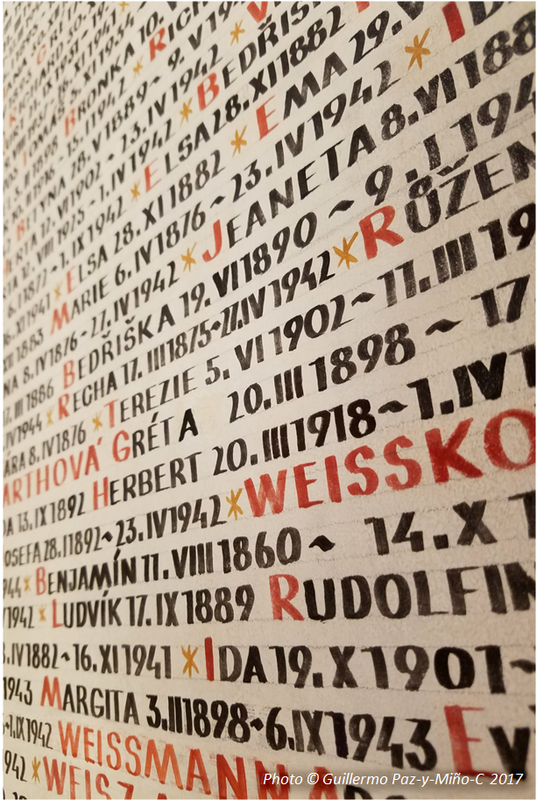 Above: Names, thousands of names, Jewish Cemetery. 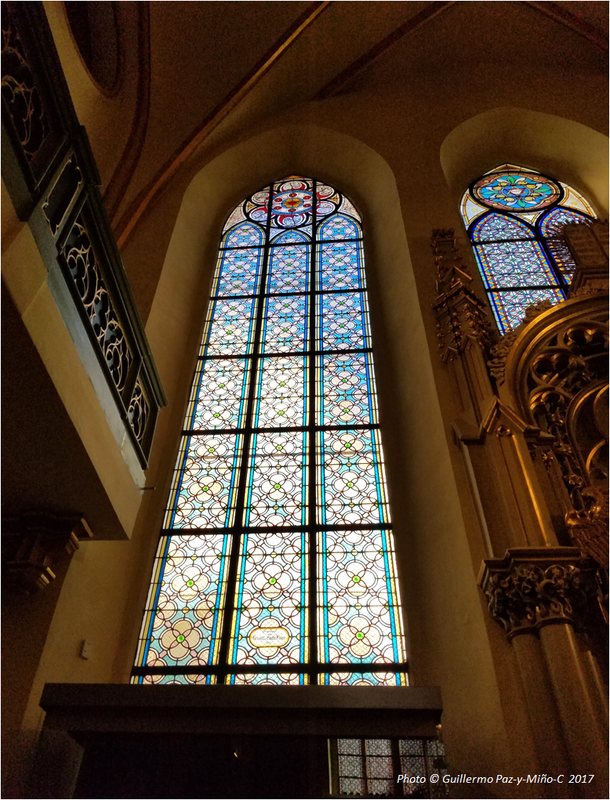 Above: tryptic stained glass at the Maisel Synagogue. 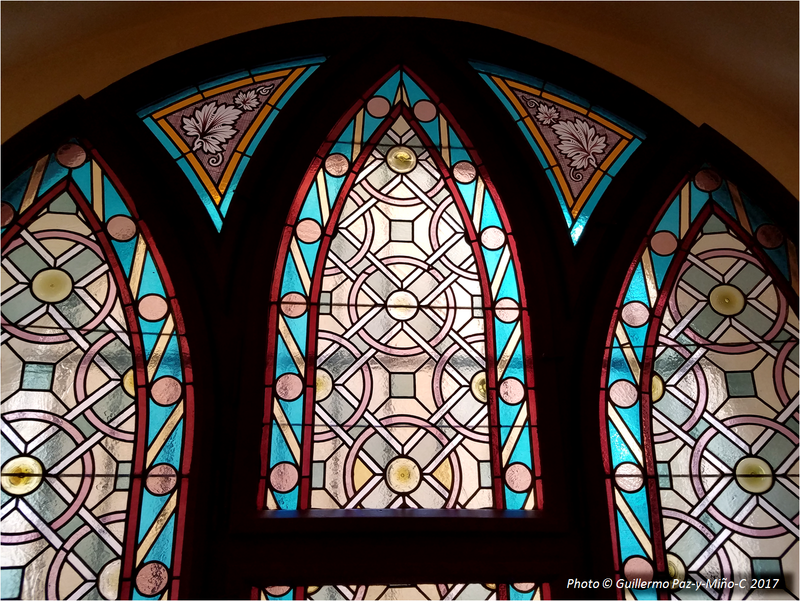 Above: stained glass next to central hall, the Maisel Synagogue. 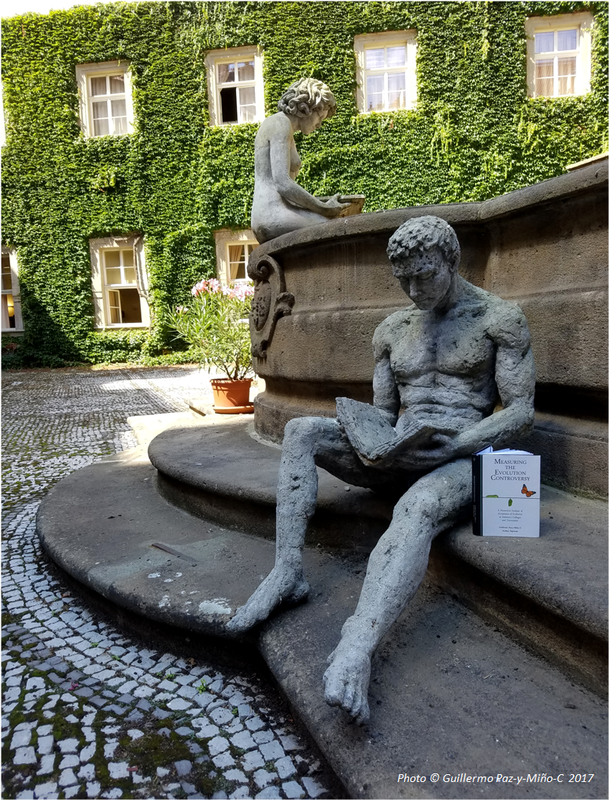 Above: Measuring the Evolution Controversy at the National Library in Prague. 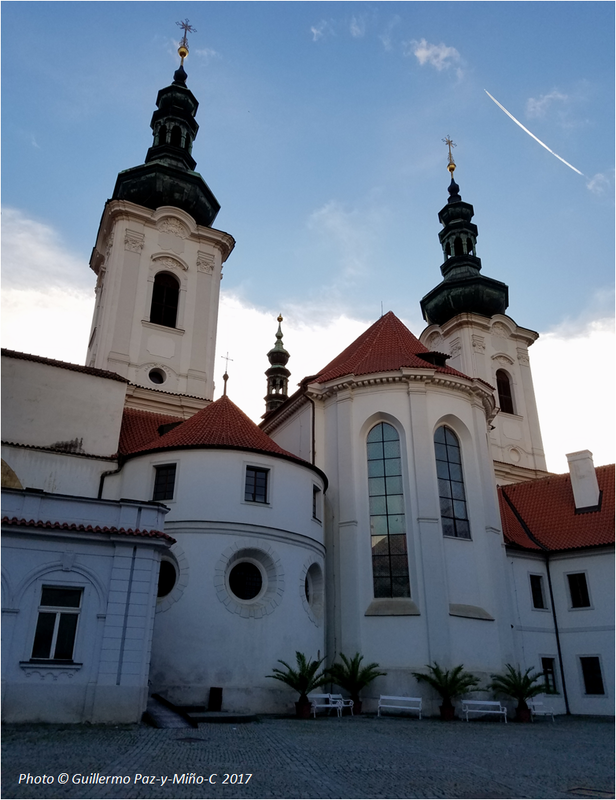 Above: the Strahov Monastery, afternoon. 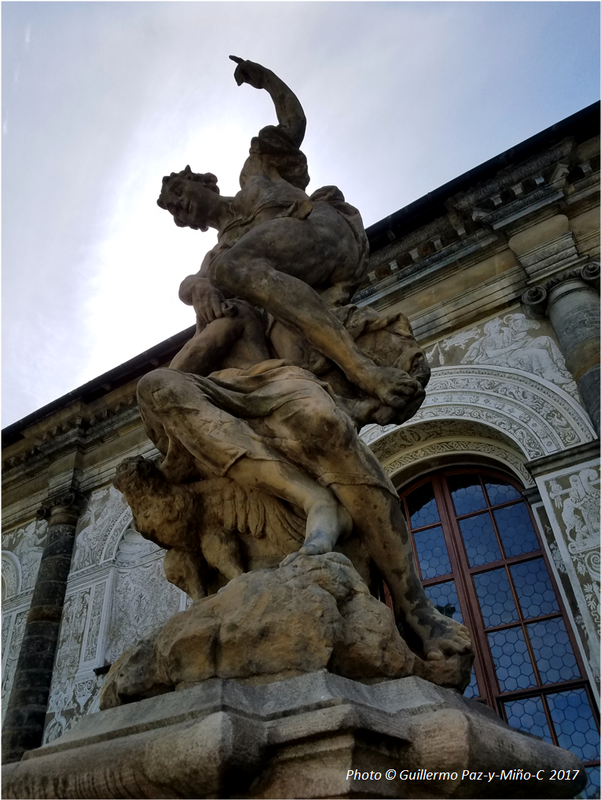 Above: details of the Strahov Monastery. 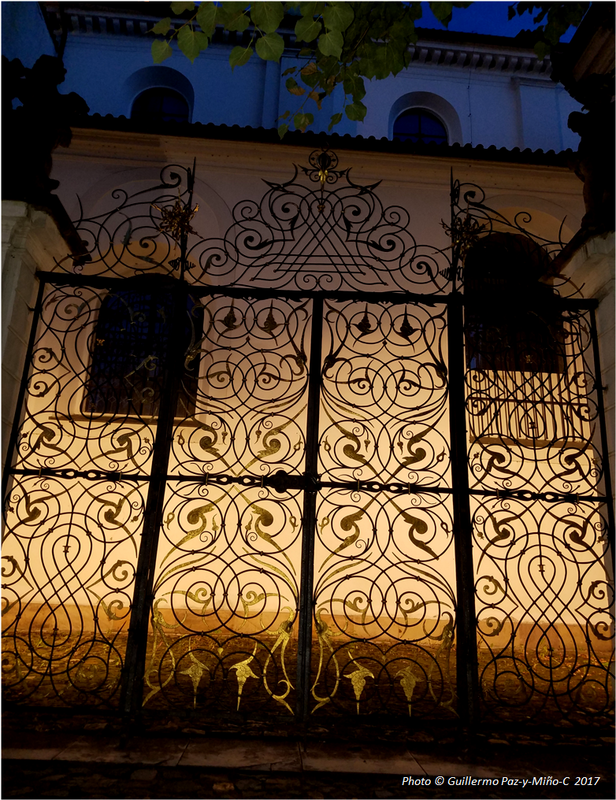 Above: iron bronze gate at the Strahov Monastery. 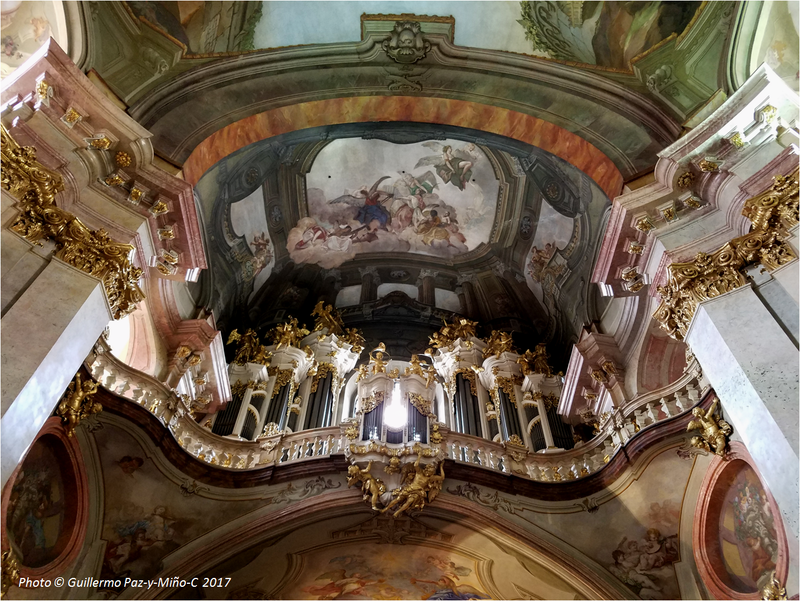 Above: more details of the Strahov Monastery. 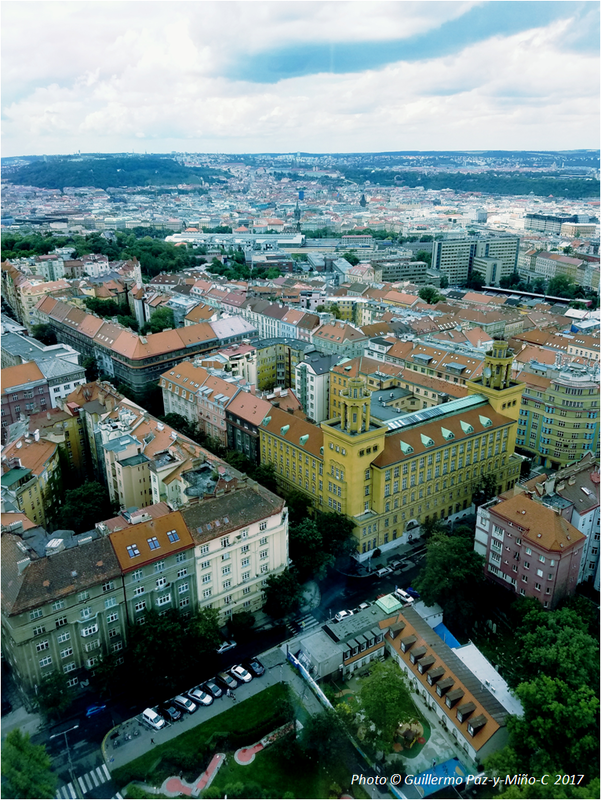 Above: a zoom-out view of the Strahov Monastery. 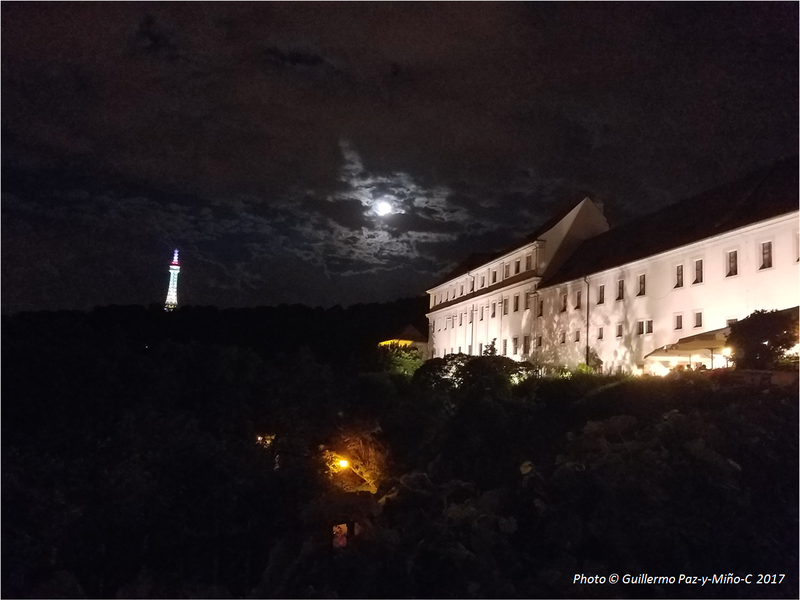 Above: Petrin Tower, the Moon, and Strahov Monastery. 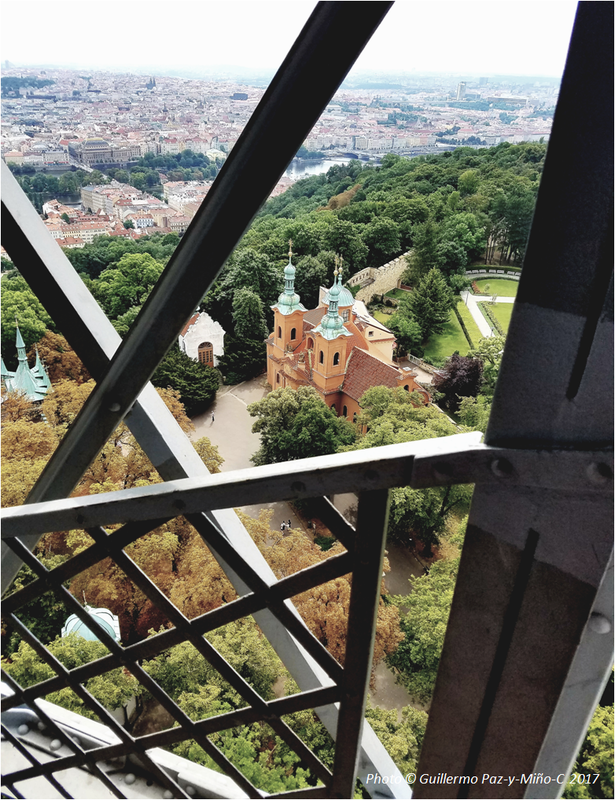 Above: Saint Vavřince church (center) and Prague as seen from the Petrin Tower. 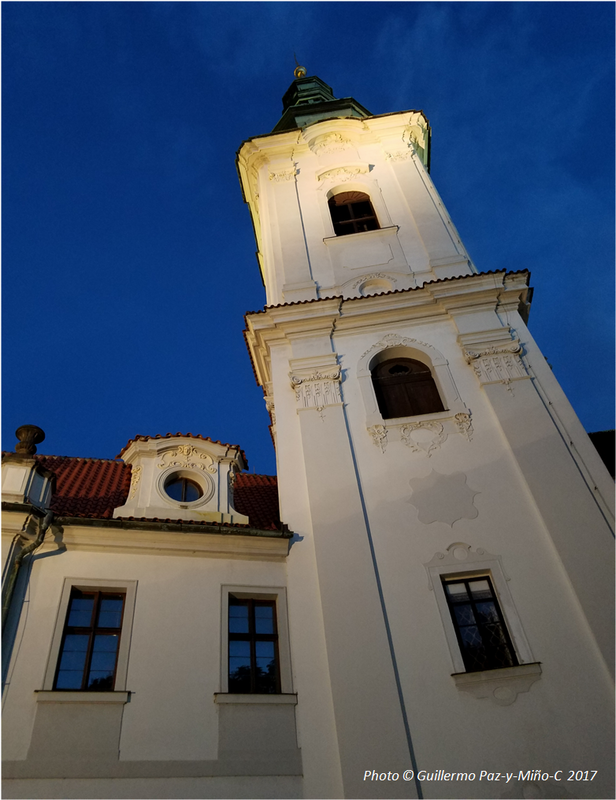 Above: and a close up of the Saint Vavřince church. 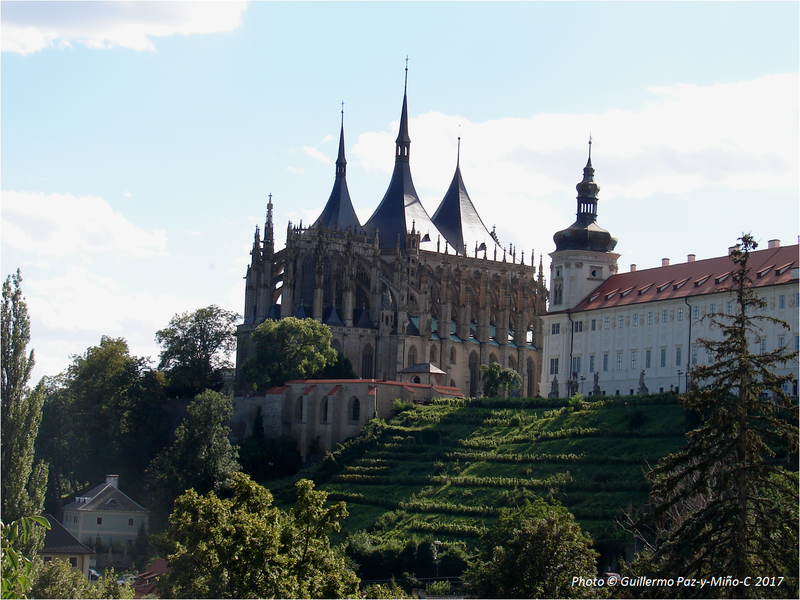 Above: the majestic Santa Barbara Church in Kutná Hora. 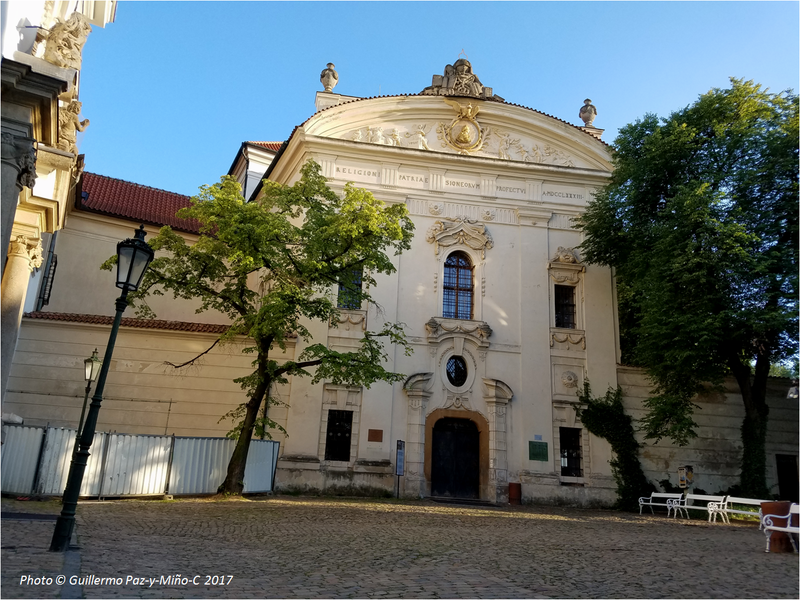 Above: outdoors Strahov Monastery Library. 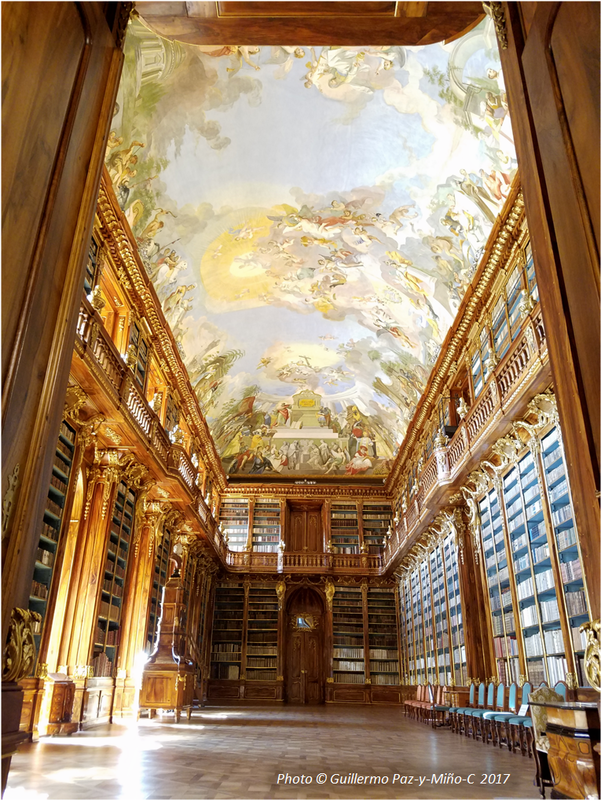 Above: a close up of the Theology Hall at the Strahov Monastery Library. 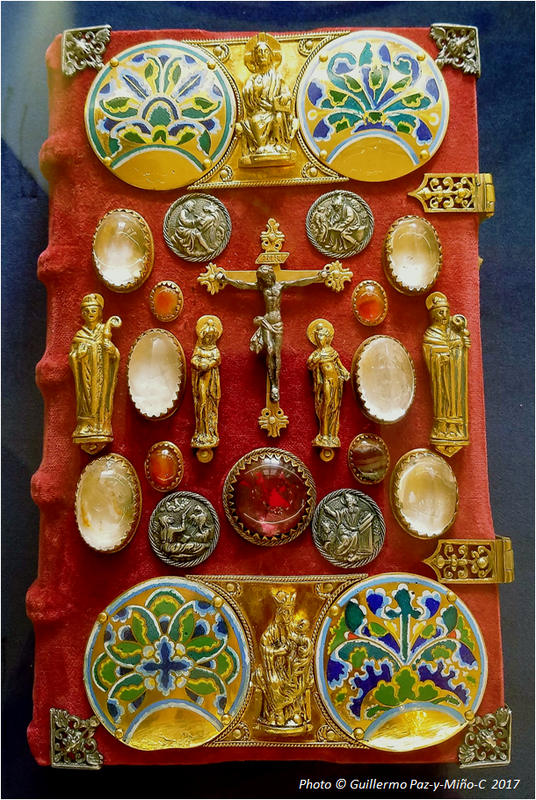 Above: decorated Evangeliary at the Strahov Monastery Library. 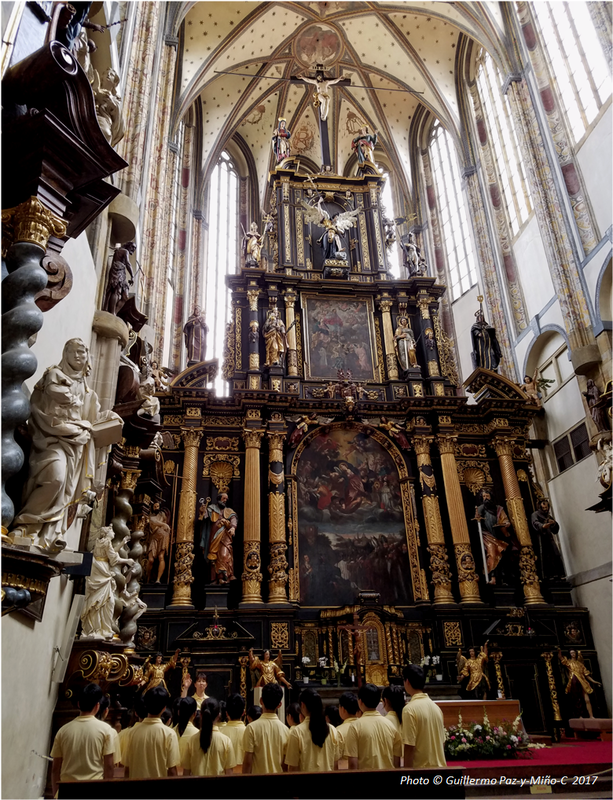 Above: kids choir at the Church of Our Lady. 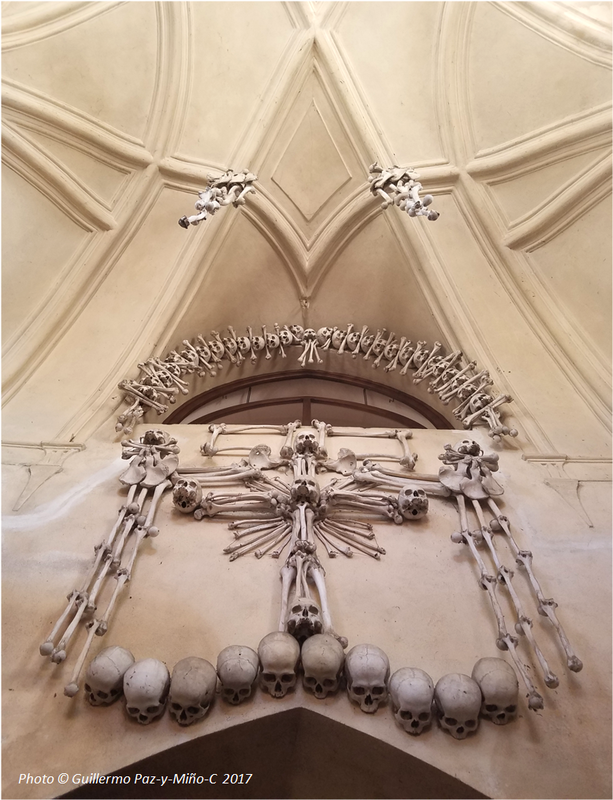 Above: at the entrance to the Sedlec Ossuary in Kutná Hora. 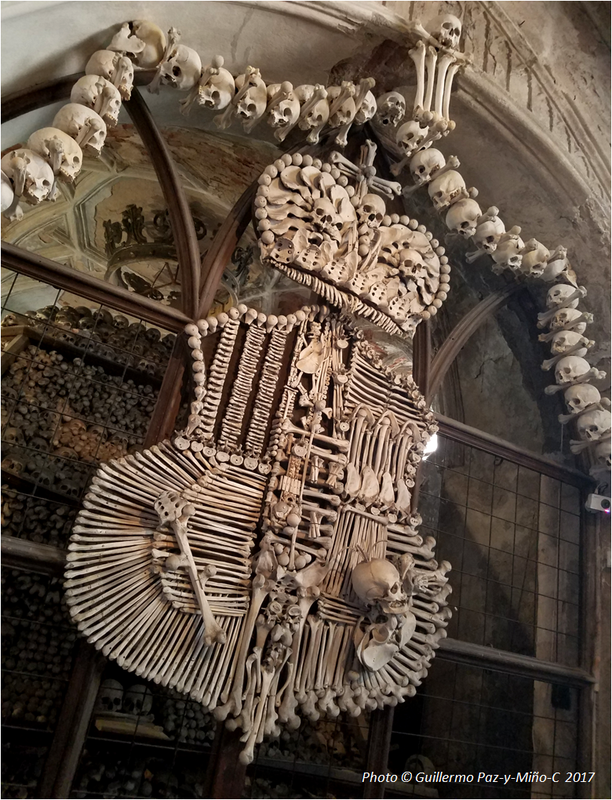 Above: shield of arms made of humans bones at the Sedlec Ossuary in Kutná Hora. 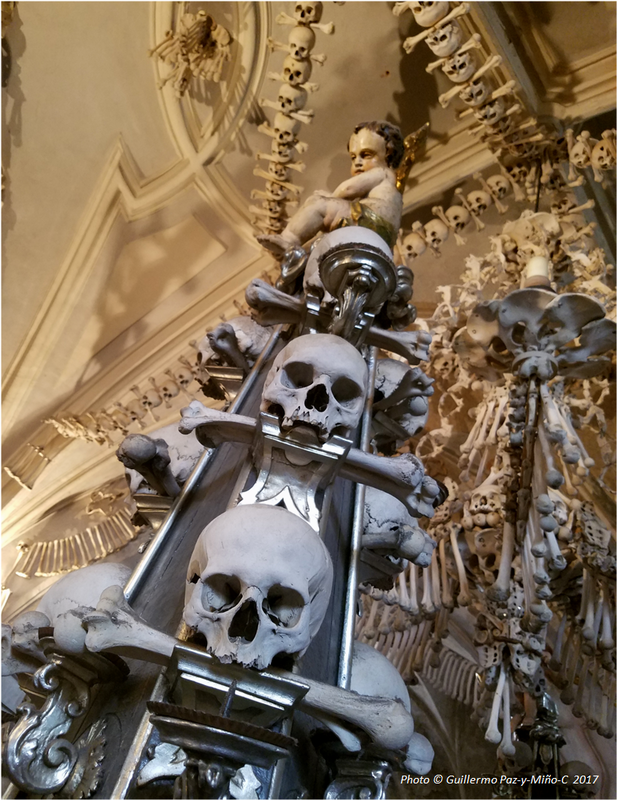 Above: skulls and baby angel at the Sedlec Ossuary in Kutná Hora. 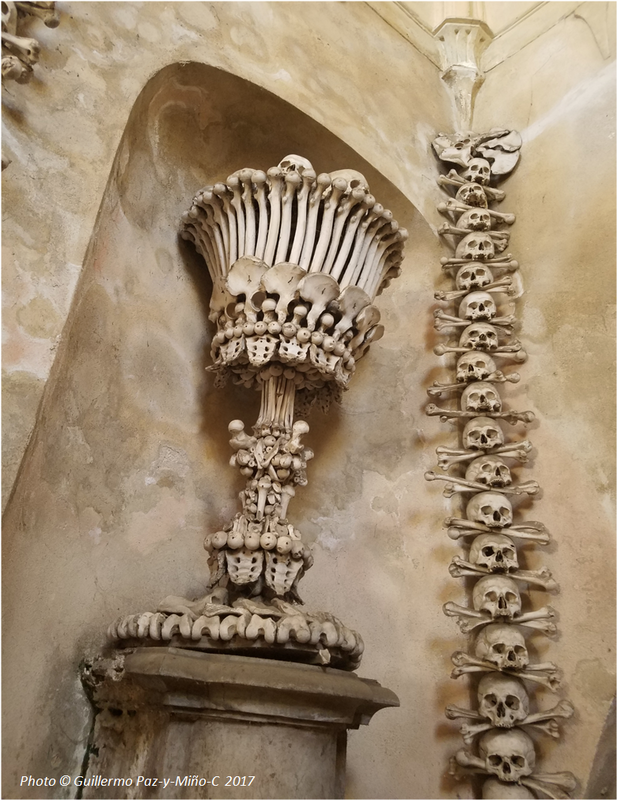 Above: ornament made of bones at the Sedlec Ossuary in Kutná Hora. 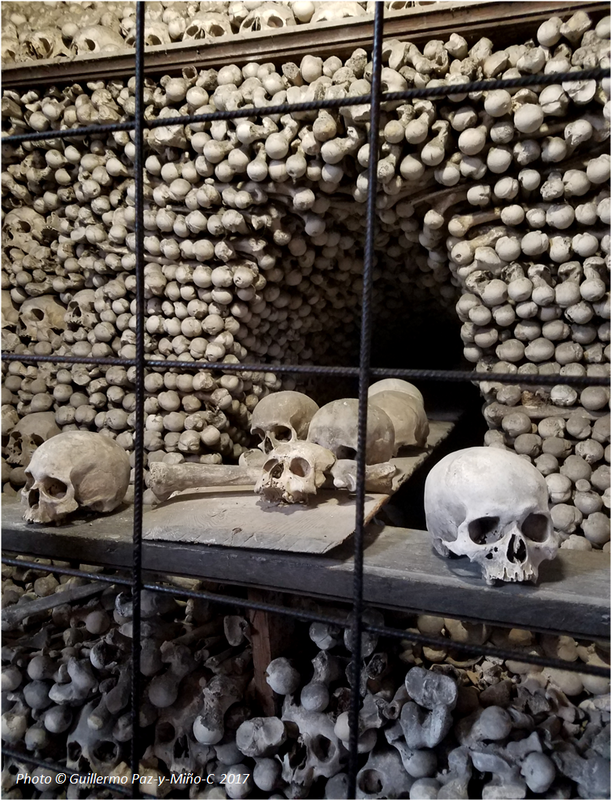 Above: the plague left its marks; the Sedlec Ossuary in Kutná Hora. 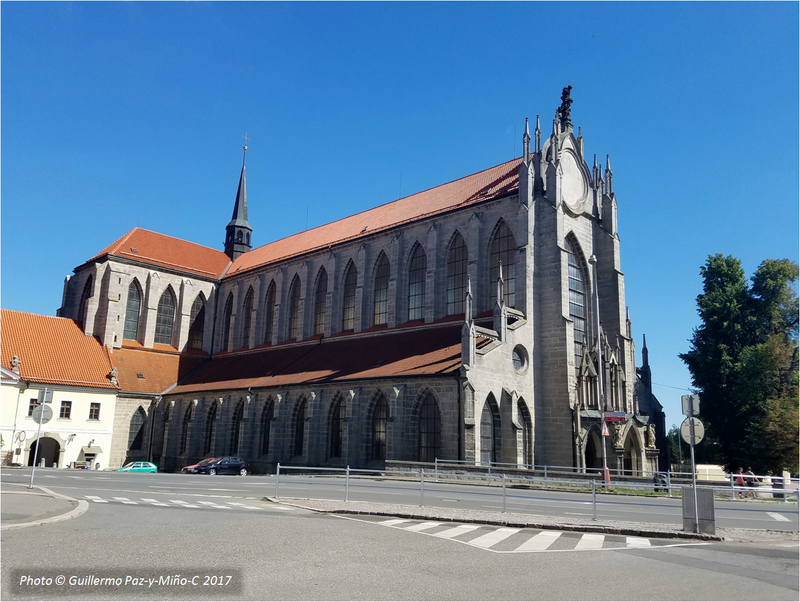 Above: Church of the Assumption in Kutná Hora. 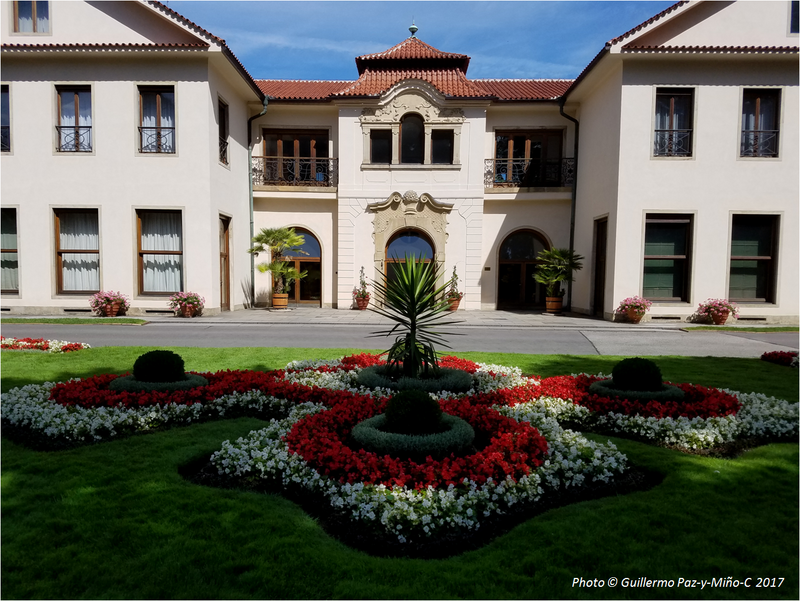 Above: Symmetry at the Queen Anne’s Summer Palace. 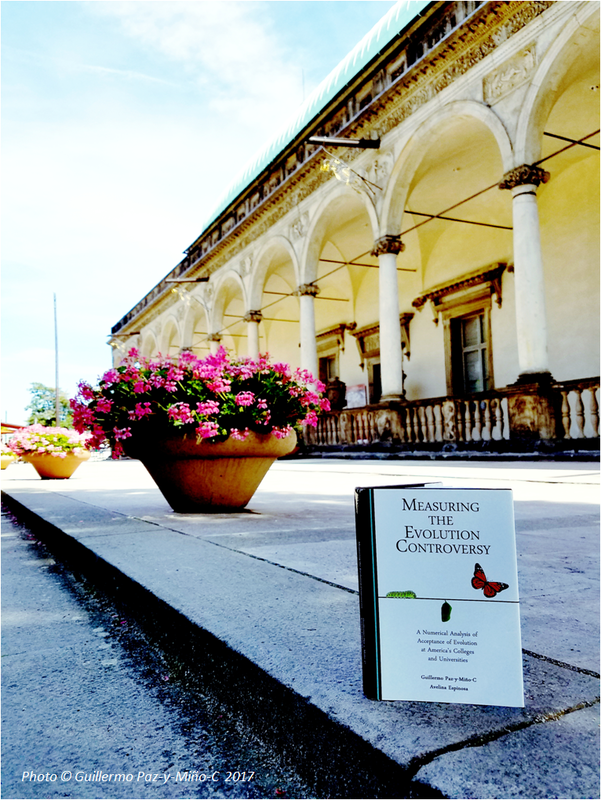 Above: Measuring the Evolution Controversy resting at the Queen Anne’s Summer Palace. 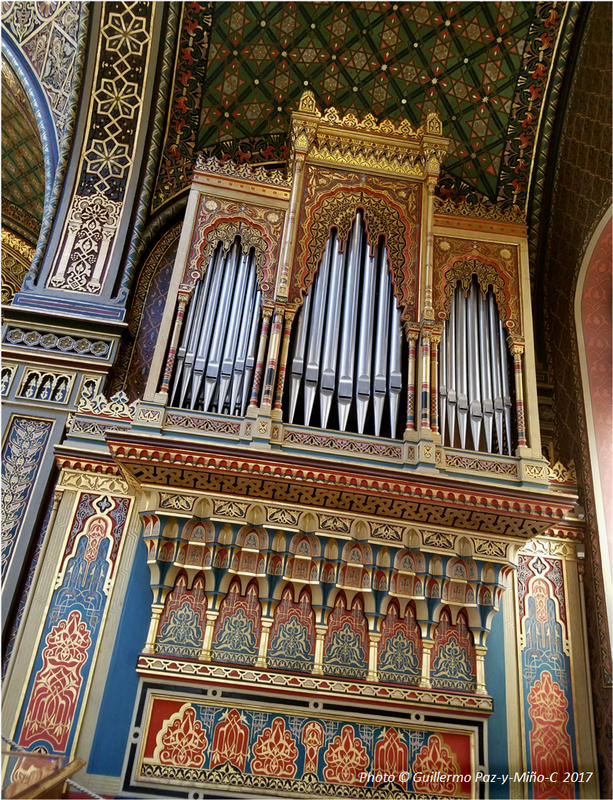 Above: the pipe organ at the Saint Nicholas Church, one of Mozart’s favorites. 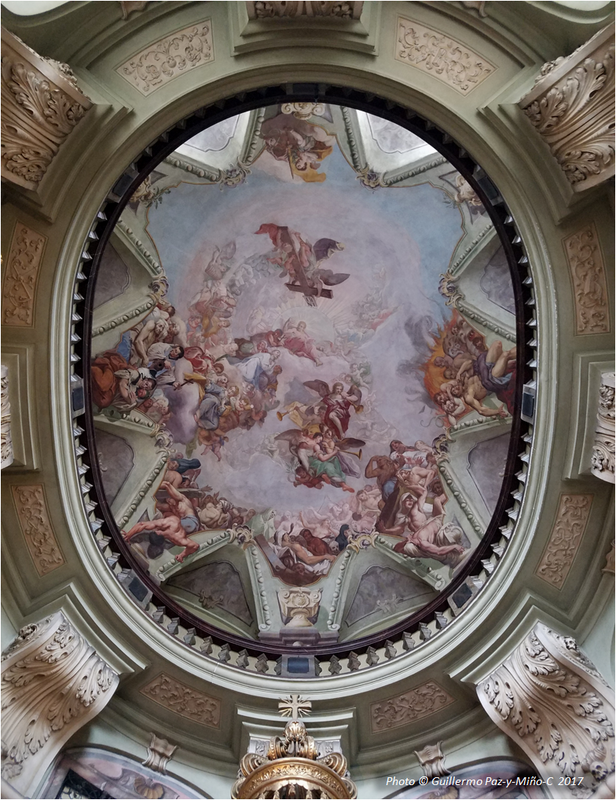 Above: dome at the Saint Nicholas Church. 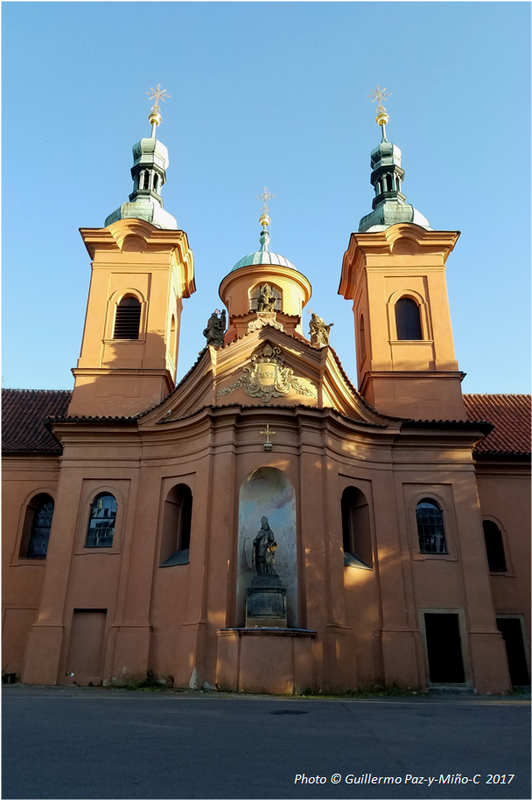 Above: more of the Saint Nicholas Church. 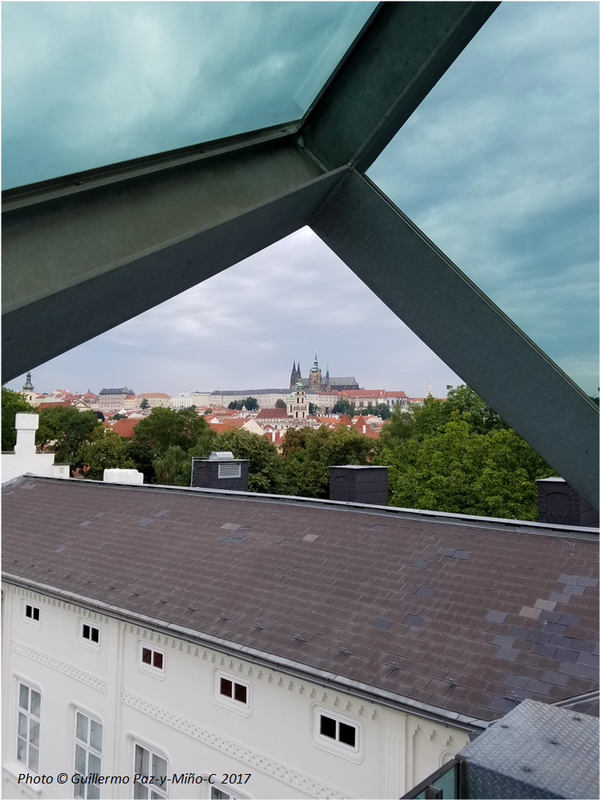 Above: the Prague’s Castle as seen from the Kampa Museum. 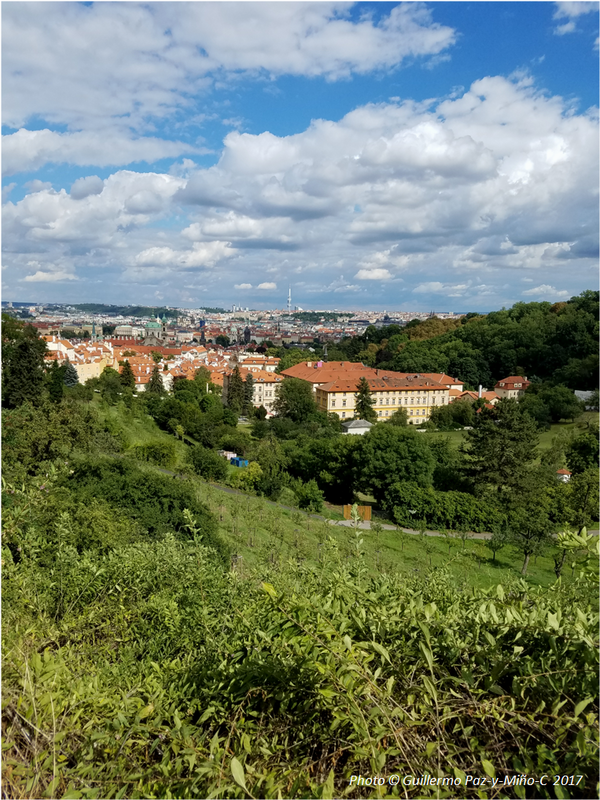 Above: view of Prague from the Strahov Monastery. 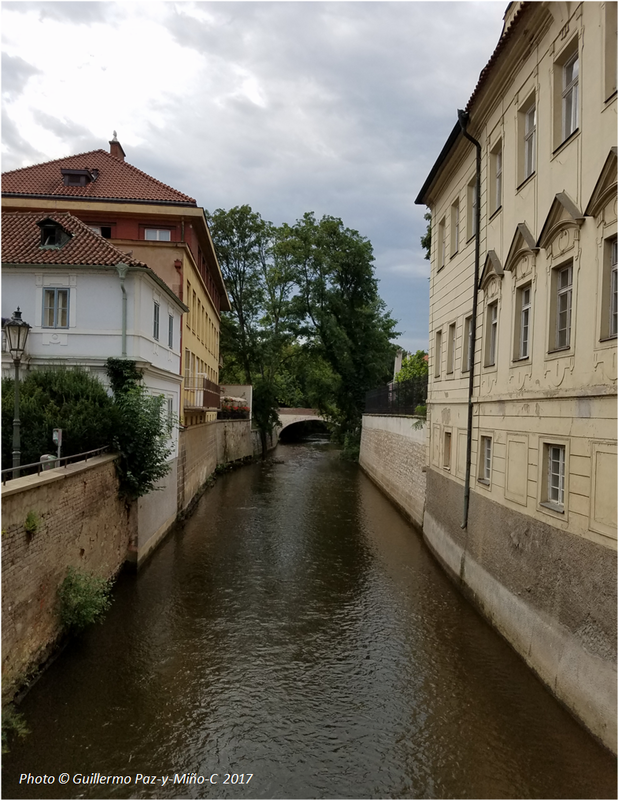 Above: The Crossing to Prague. 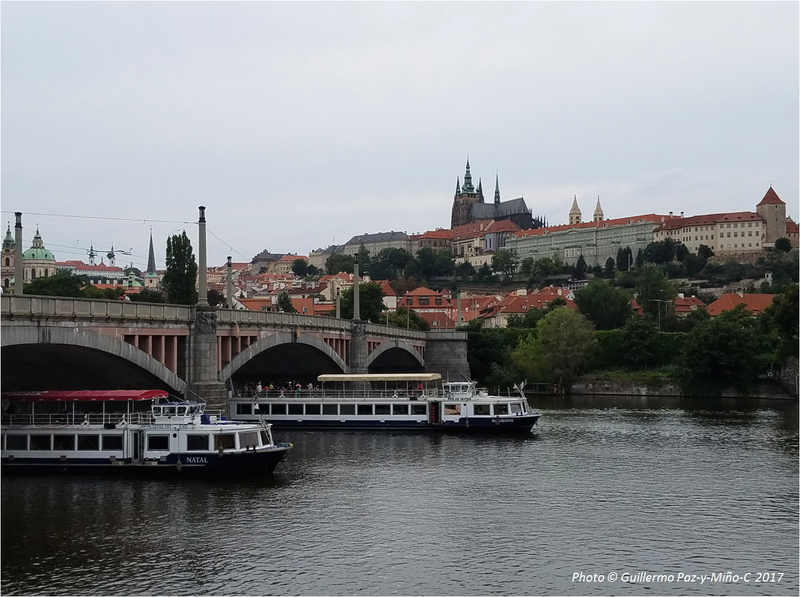 Above: the Prague’s Castle as seen from the Vltava River. 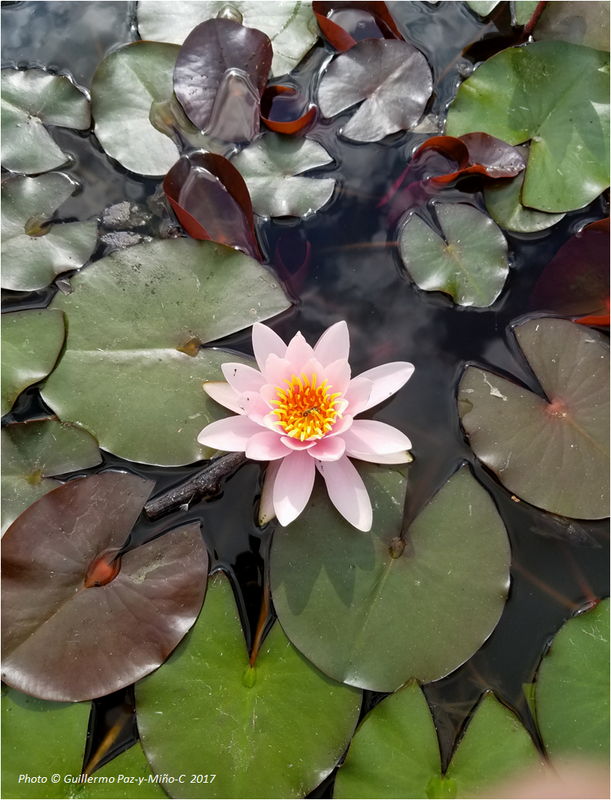 Above: water lily nearby the Prague’s Castle, can you spot the bee? Above: walking back to our hotel. 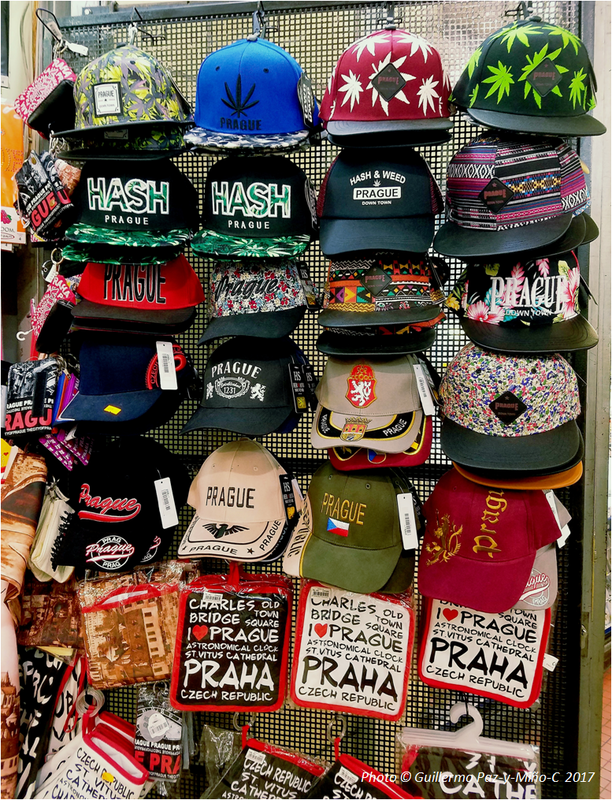 Above: my last view of Prague (airport).